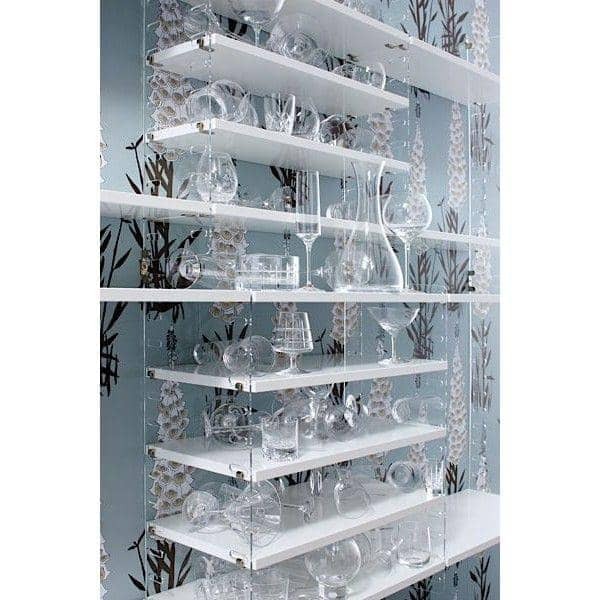 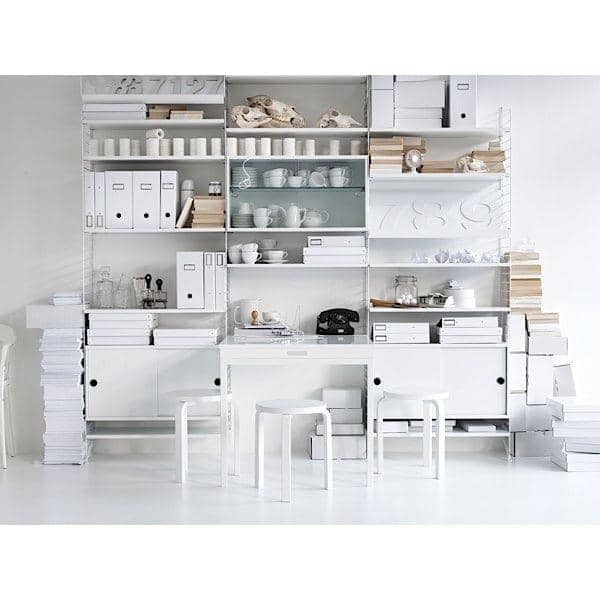 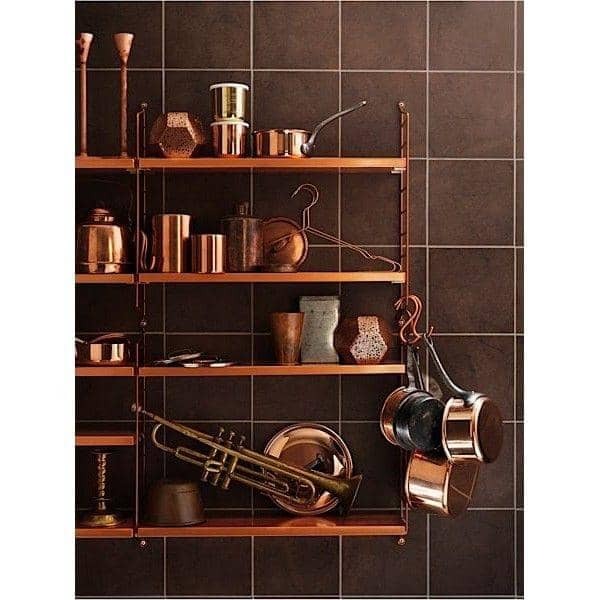 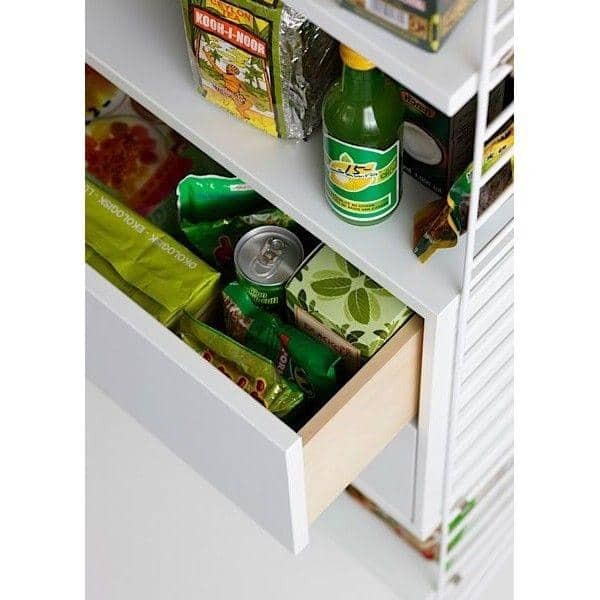 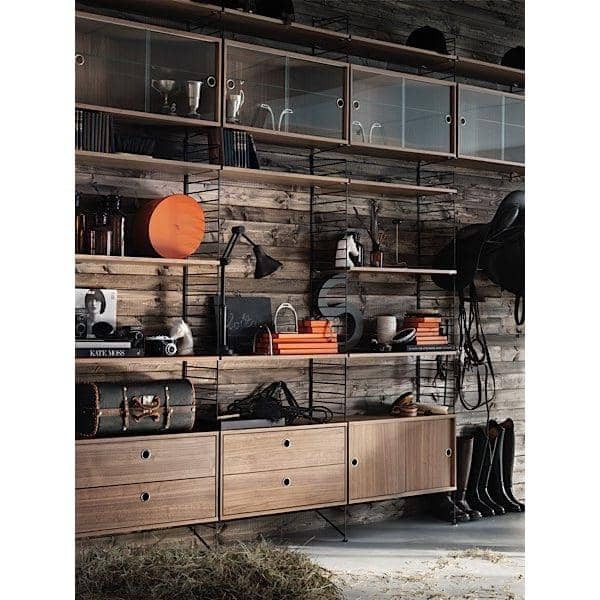 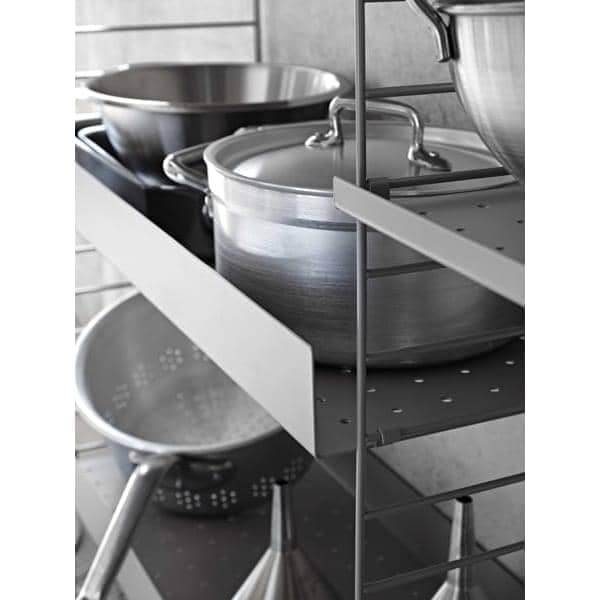 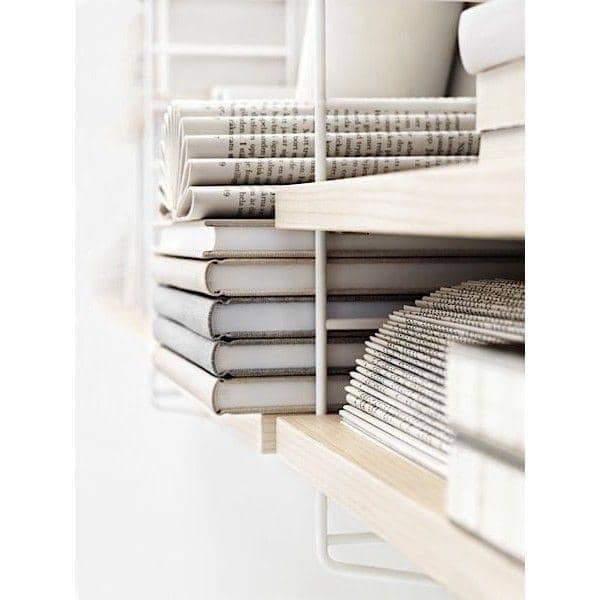 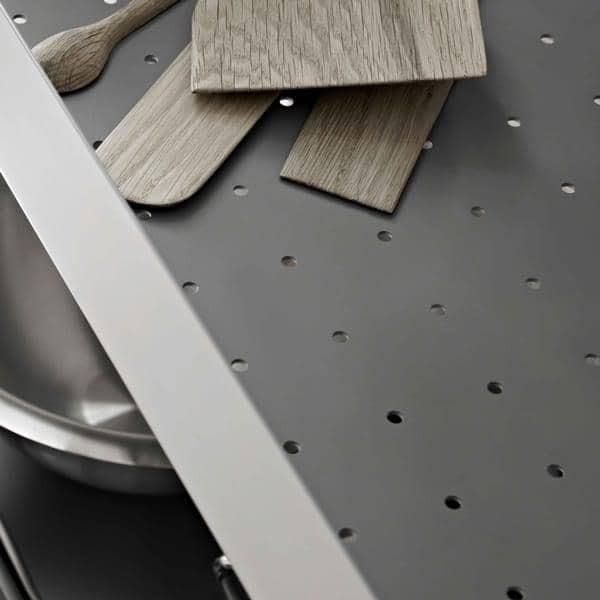 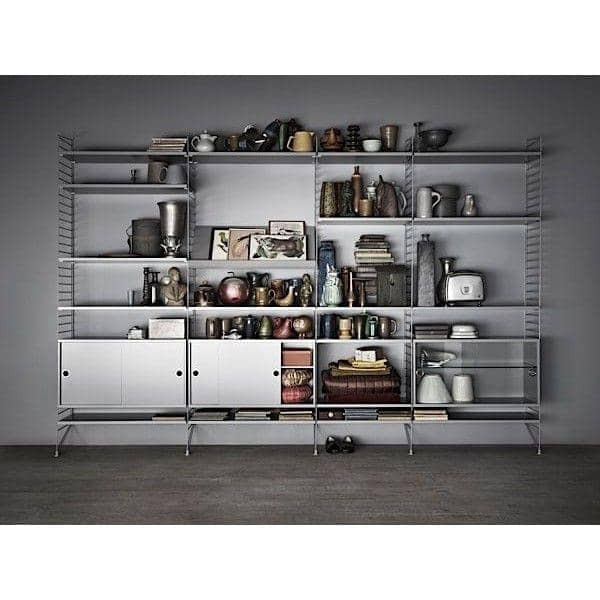 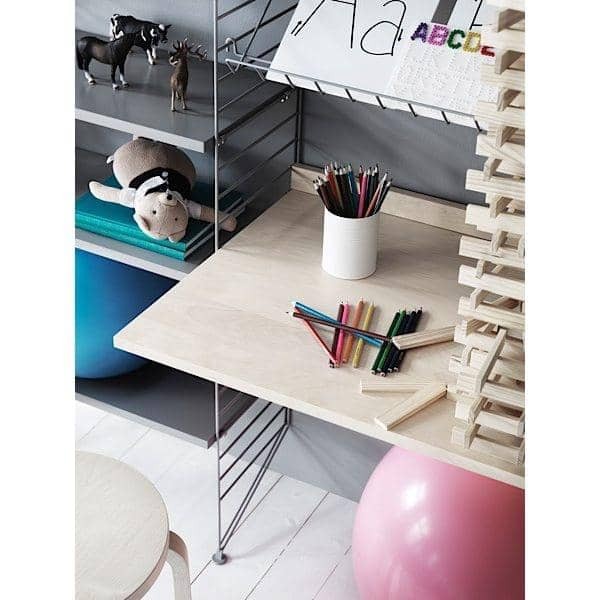 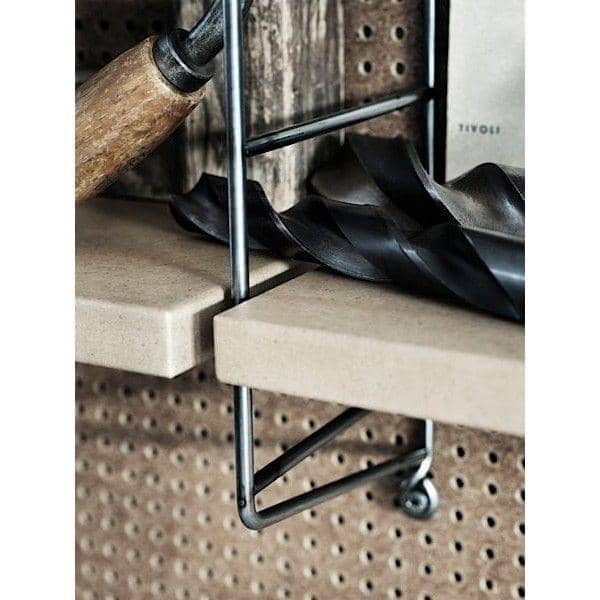 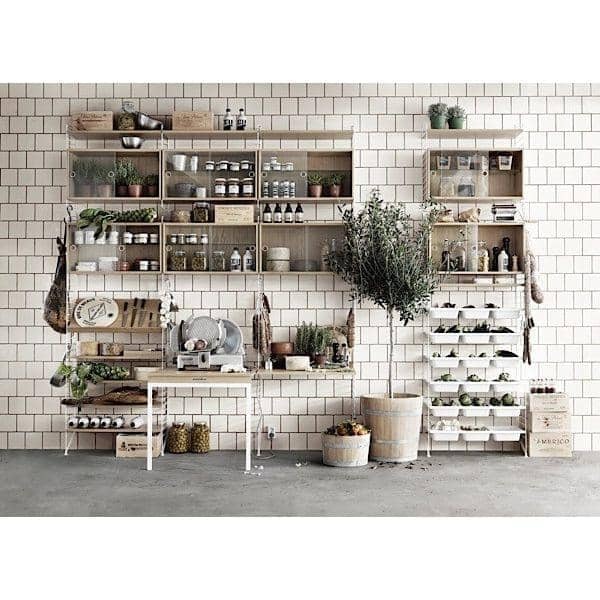 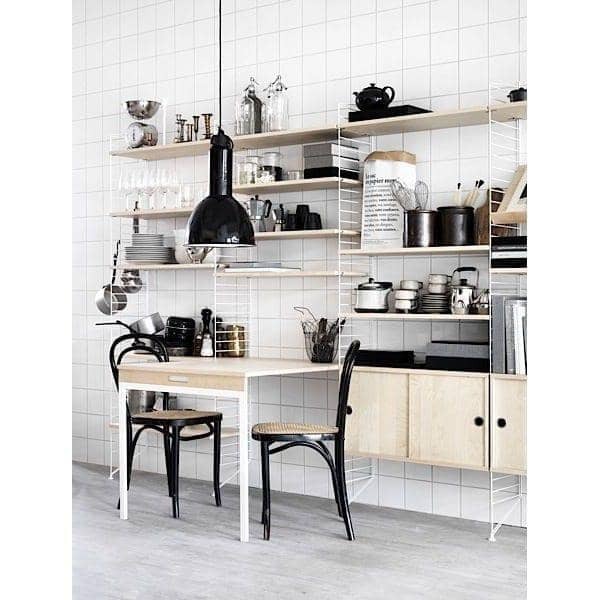 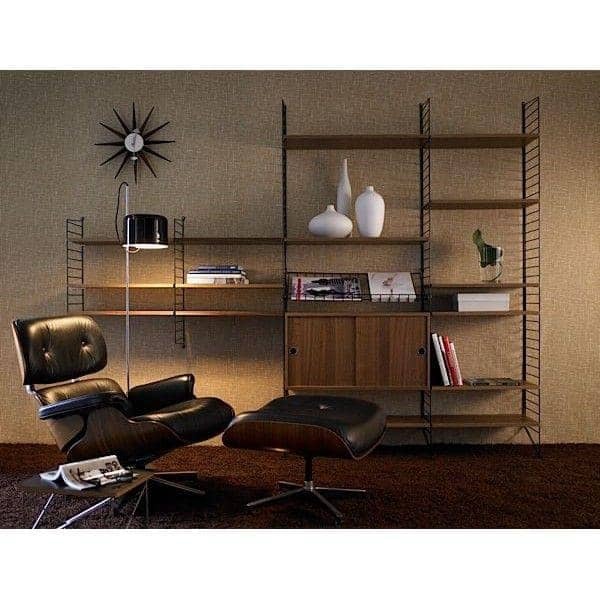 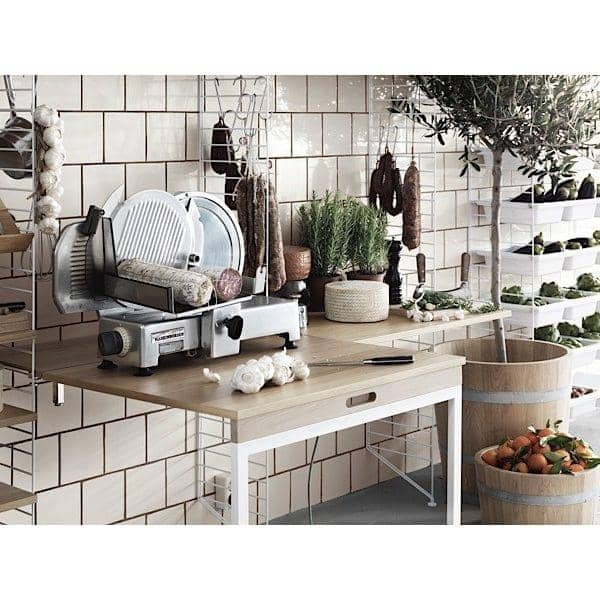 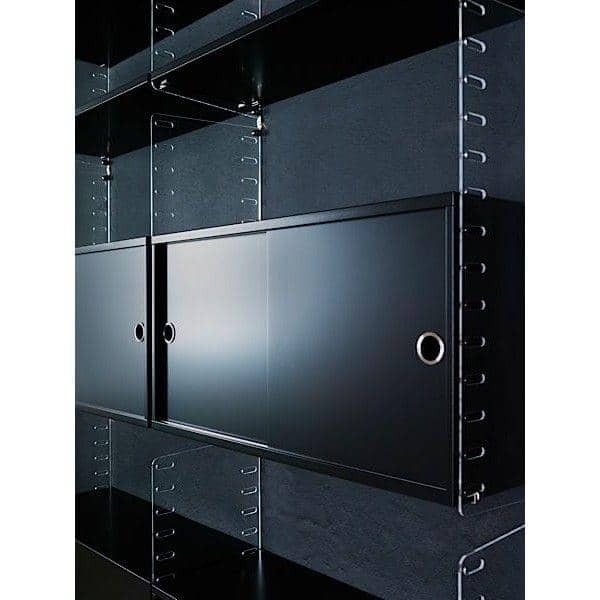 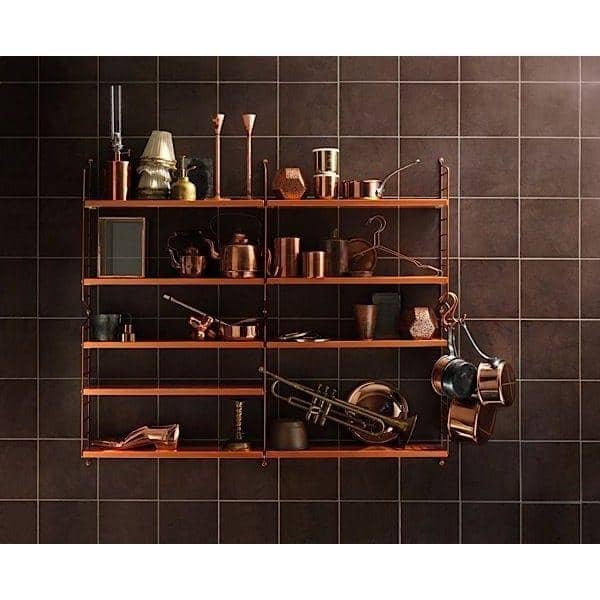 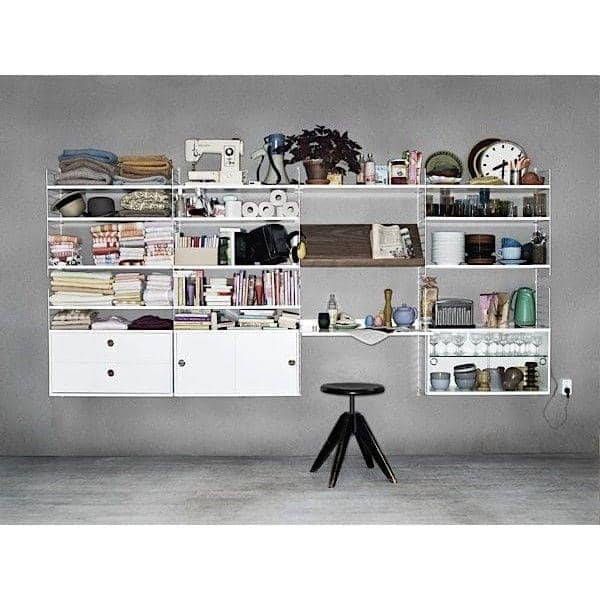 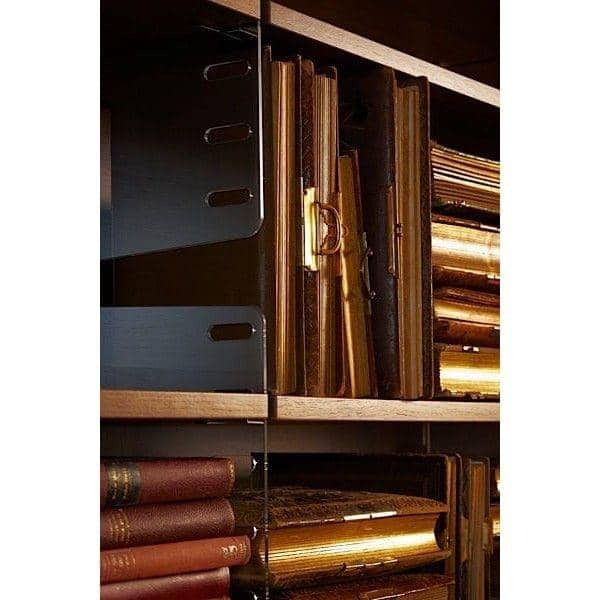 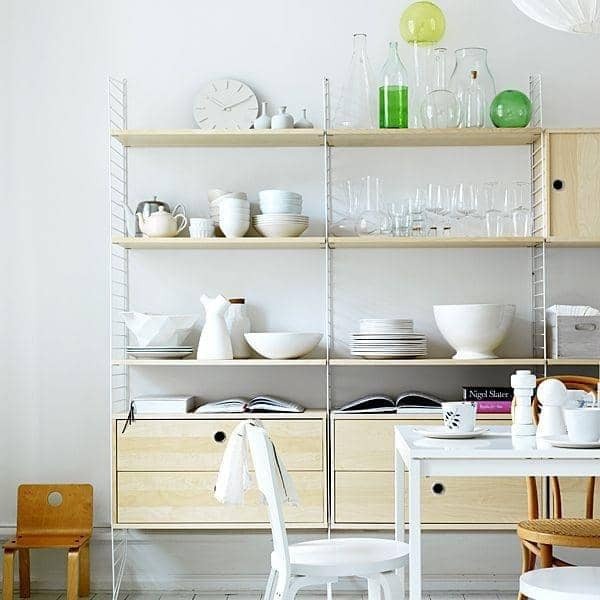 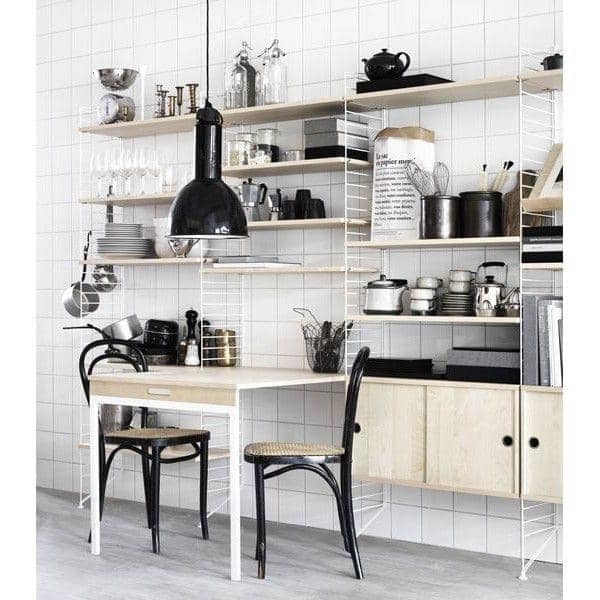 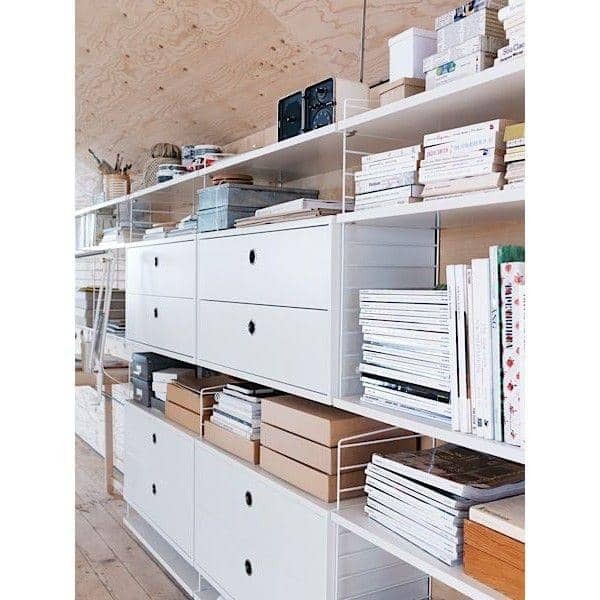 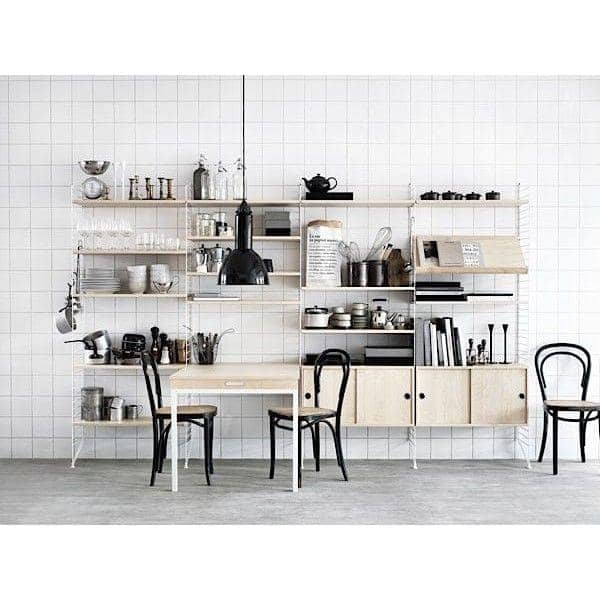 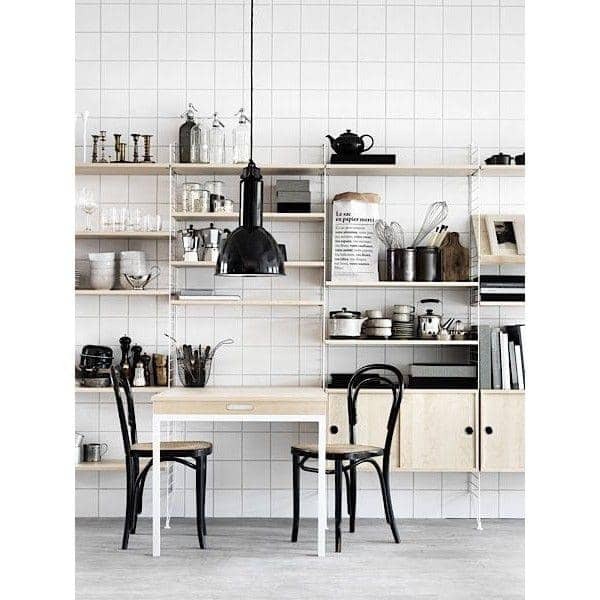 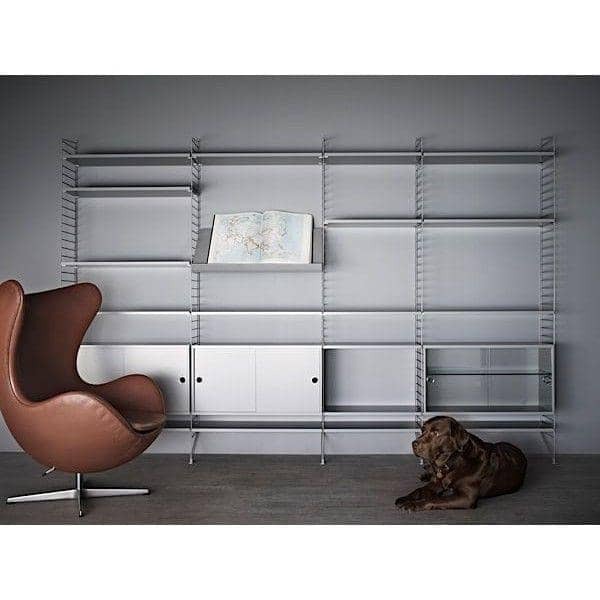 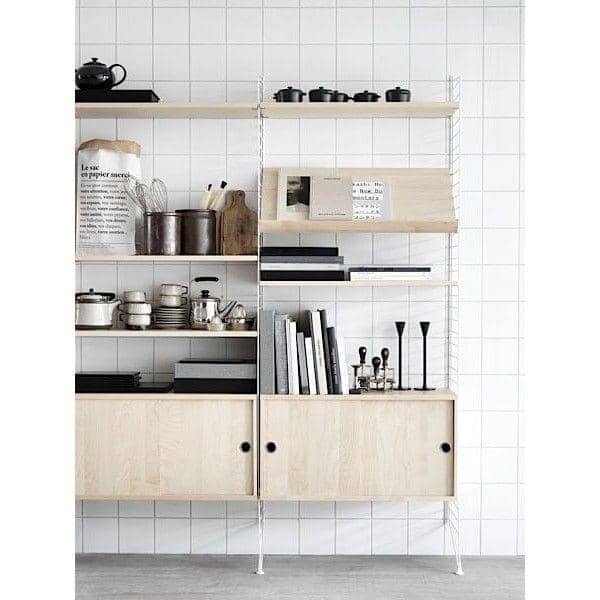 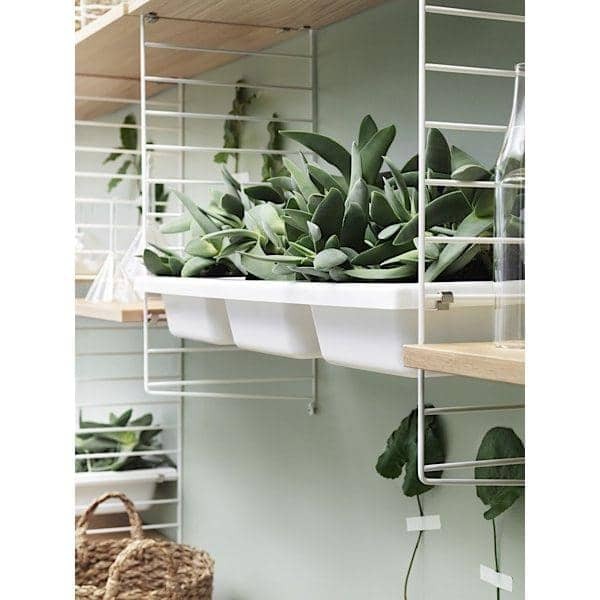 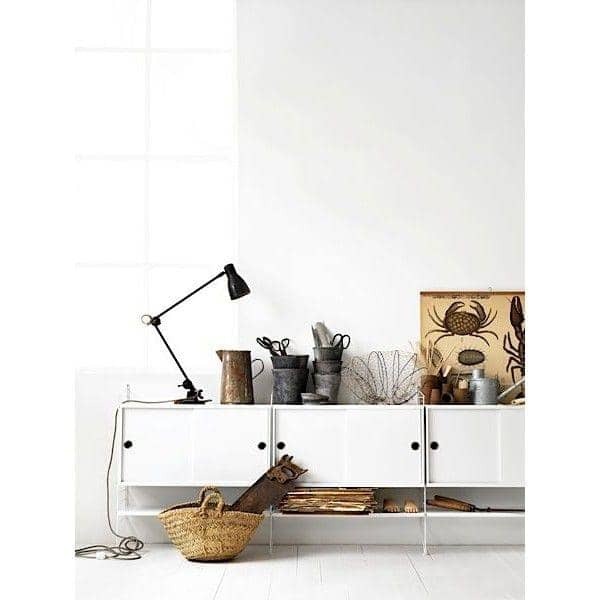 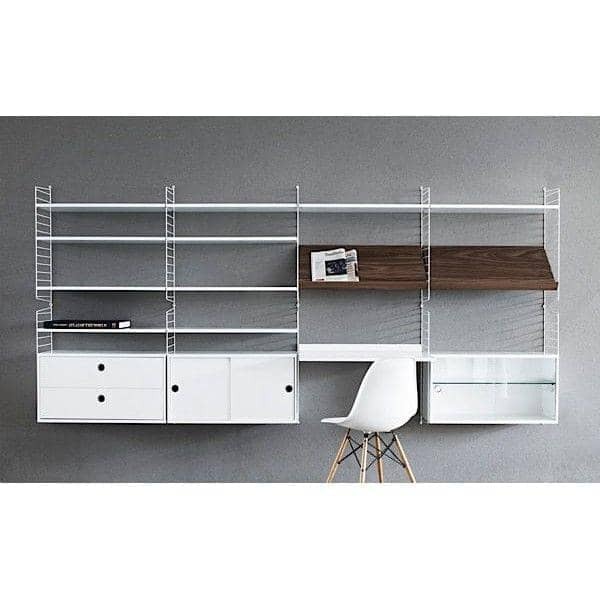 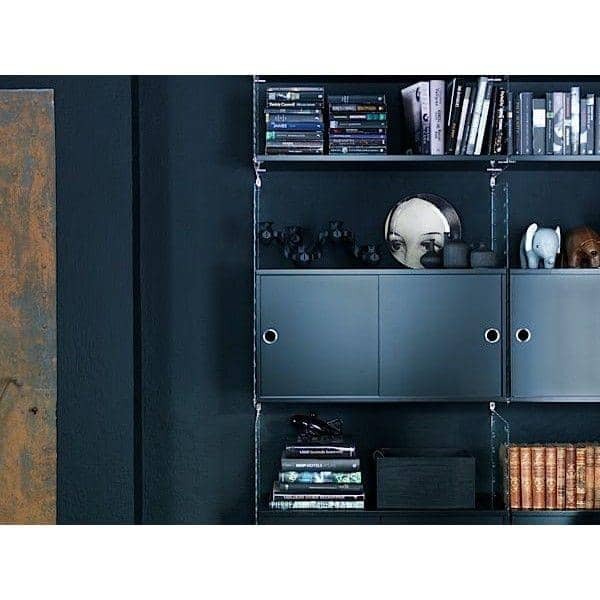 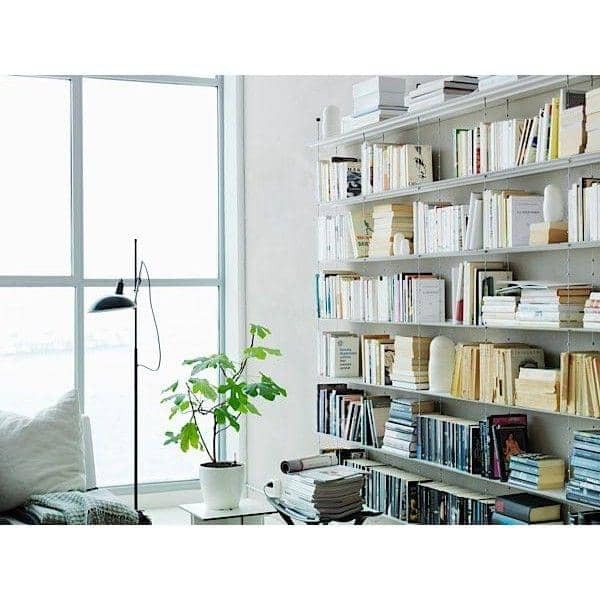 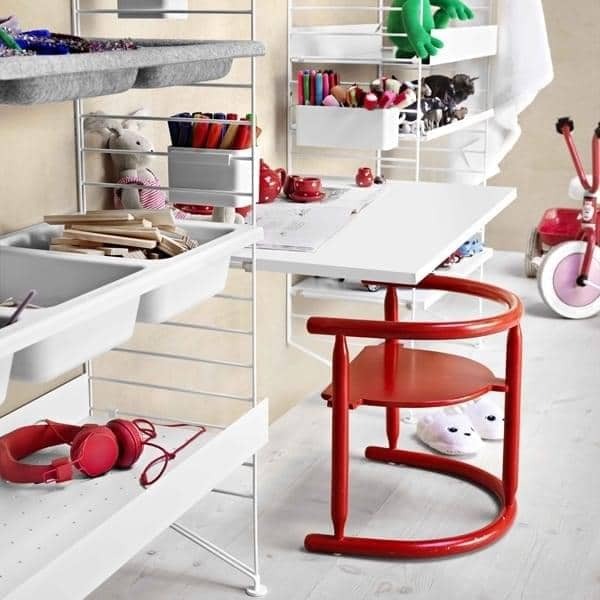 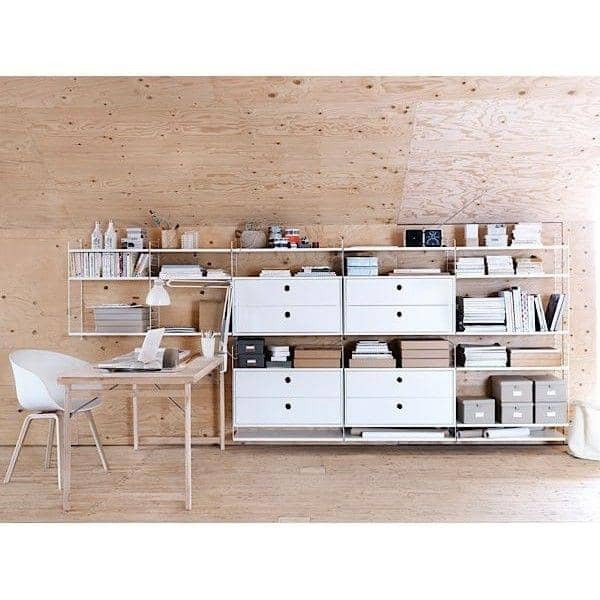 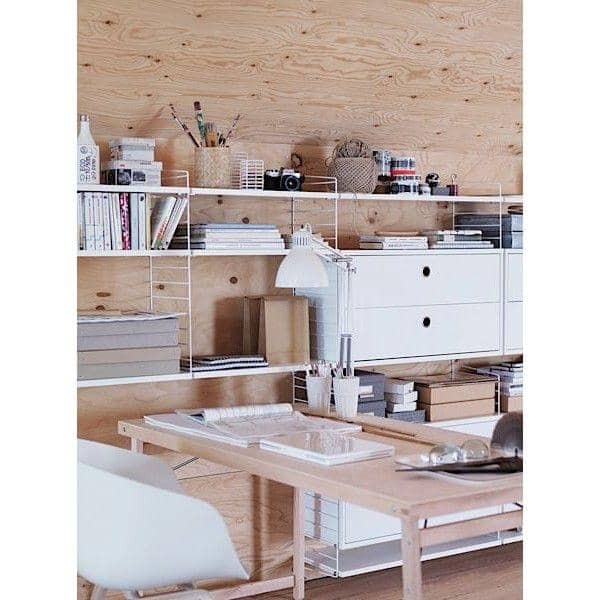 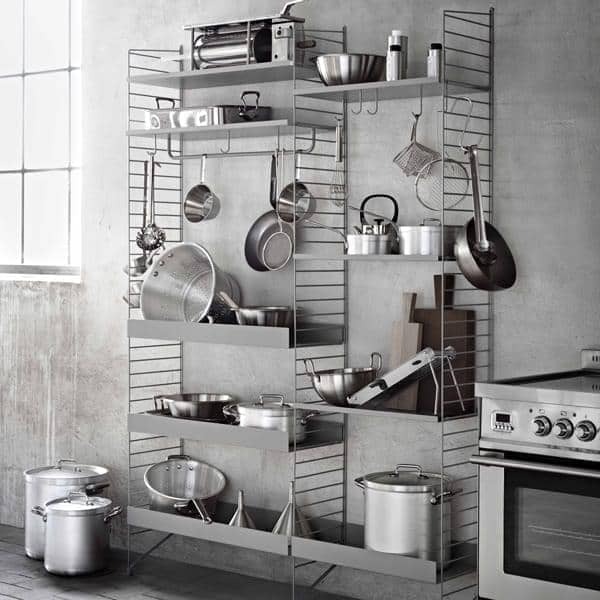 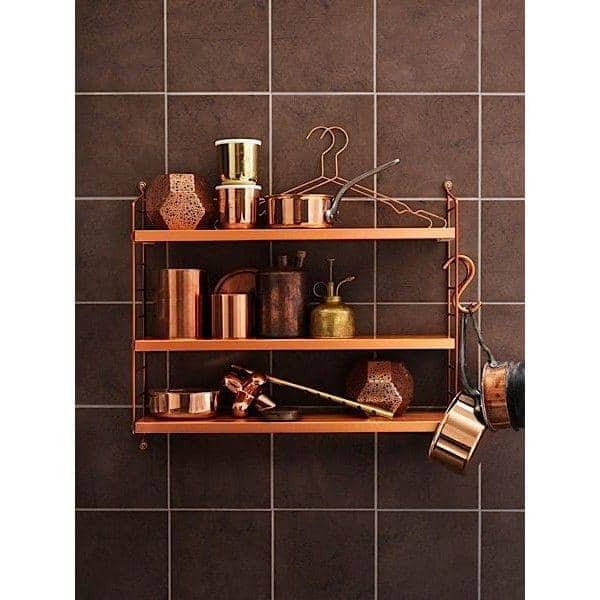 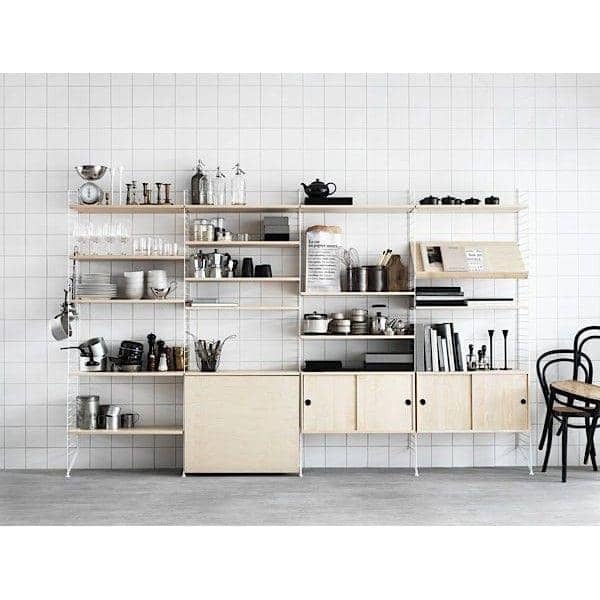 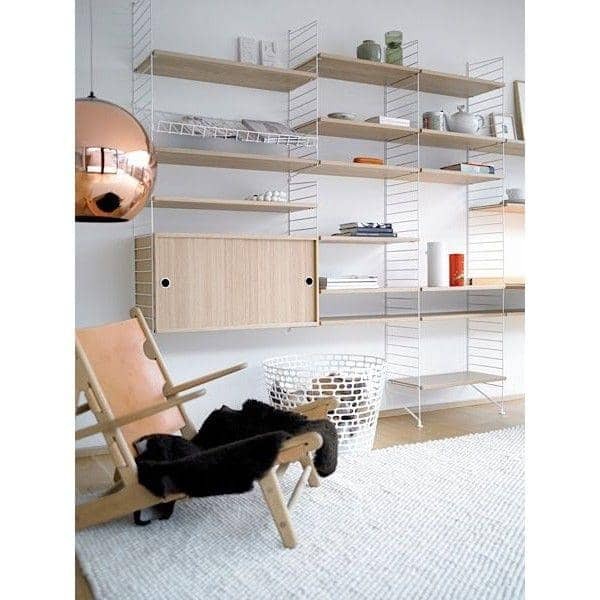 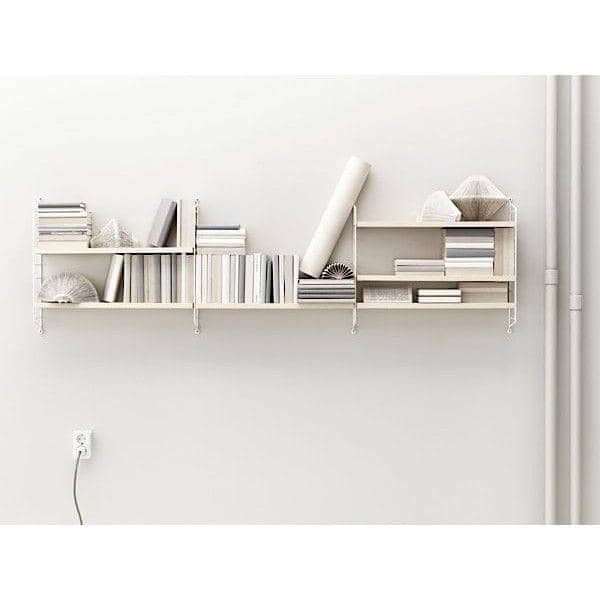 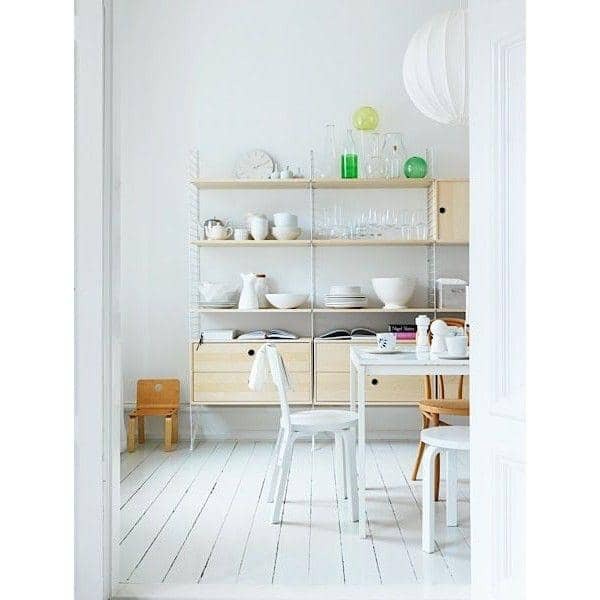 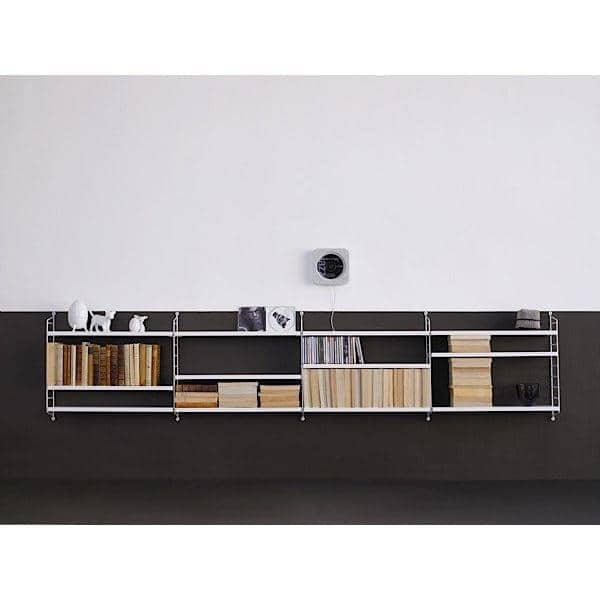 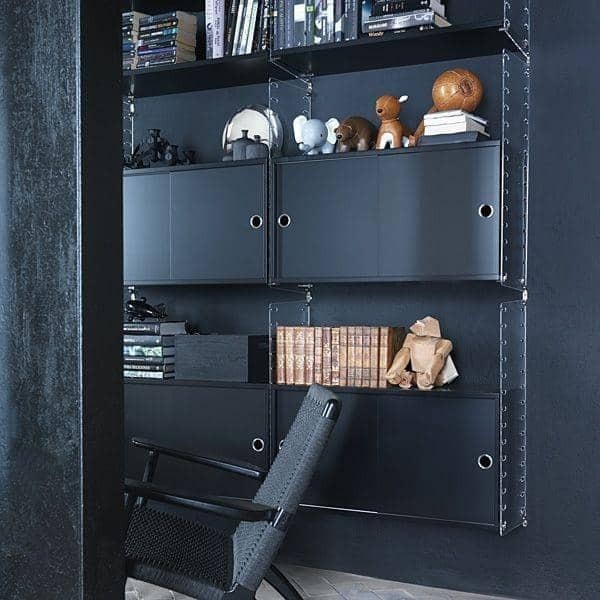 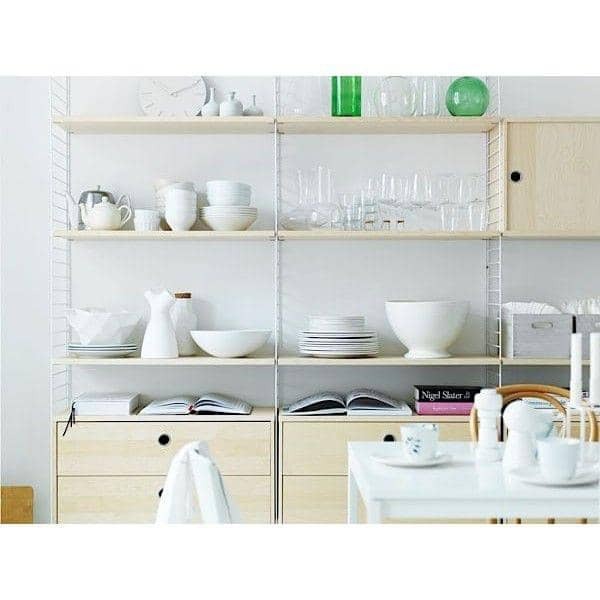 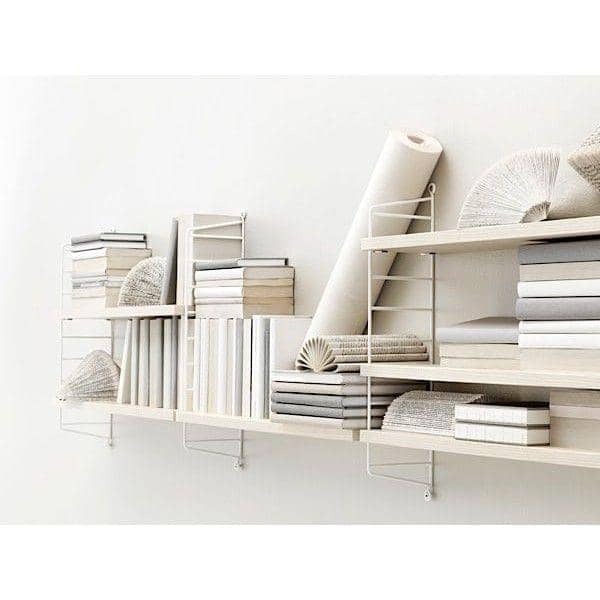 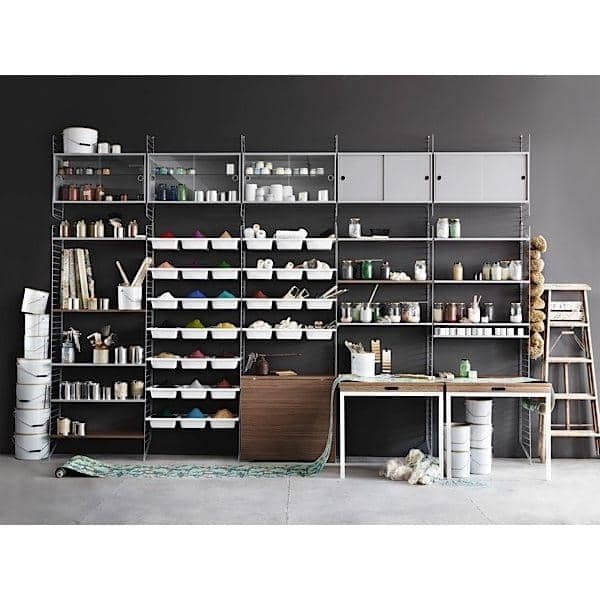 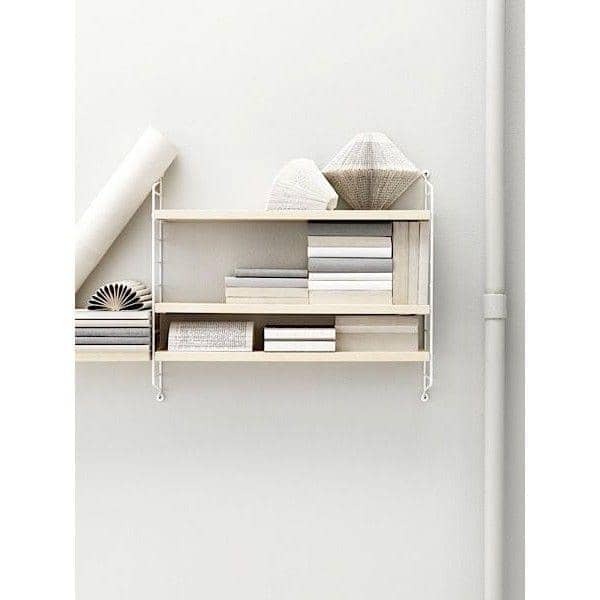 For the kitchen, the living room, your office, the bedroom, your bathroom, the garage ... you choose a solid and very attractive shelving system. 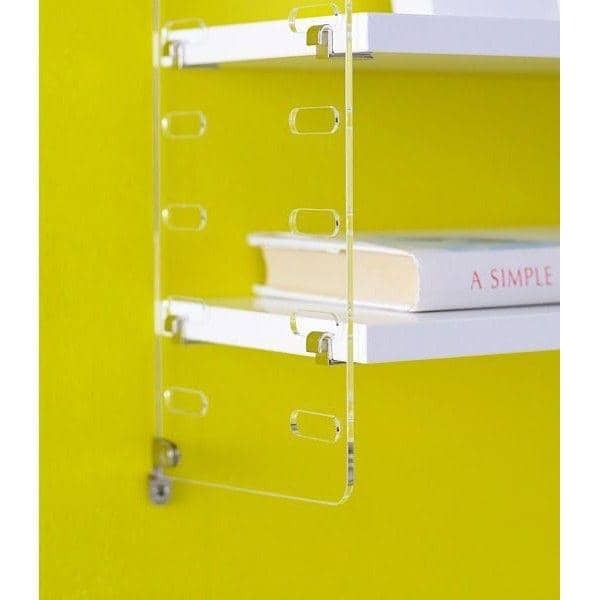 The excellent quality of these items, will satisfy you many years. 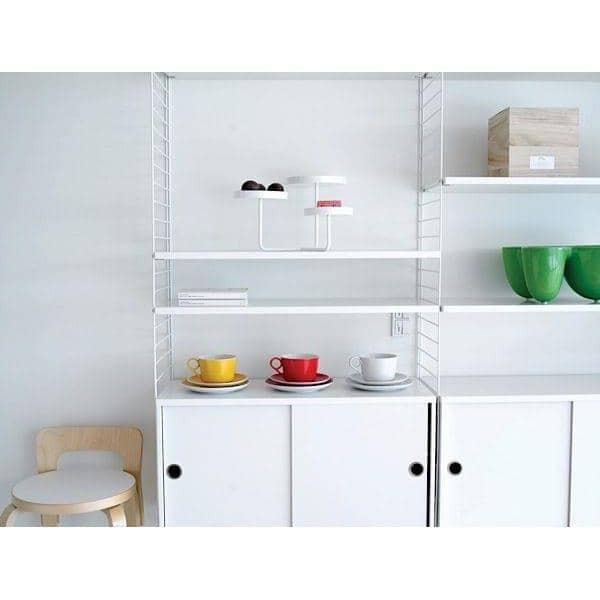 Choose from the many dimensions options and color options below, and yes, invent a solution that will perfectly fit your needs. 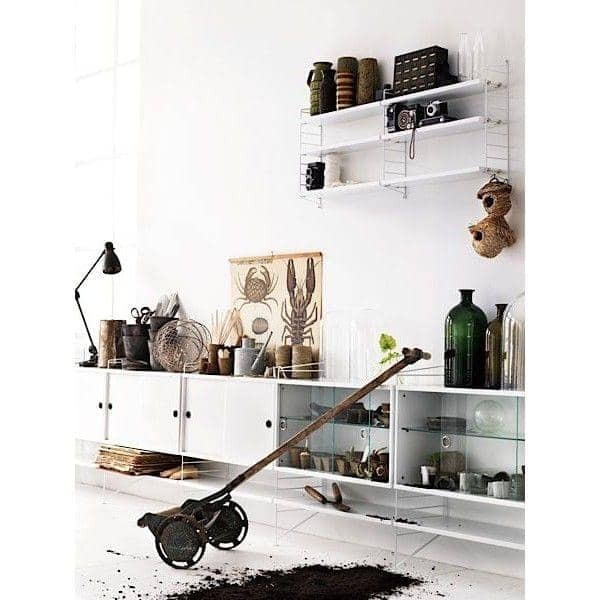 Title : Comment from Marie A. 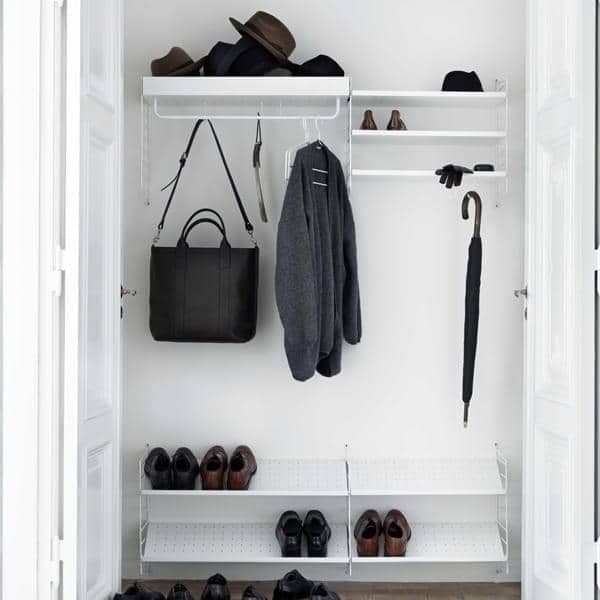 Comment : Very good customer service. 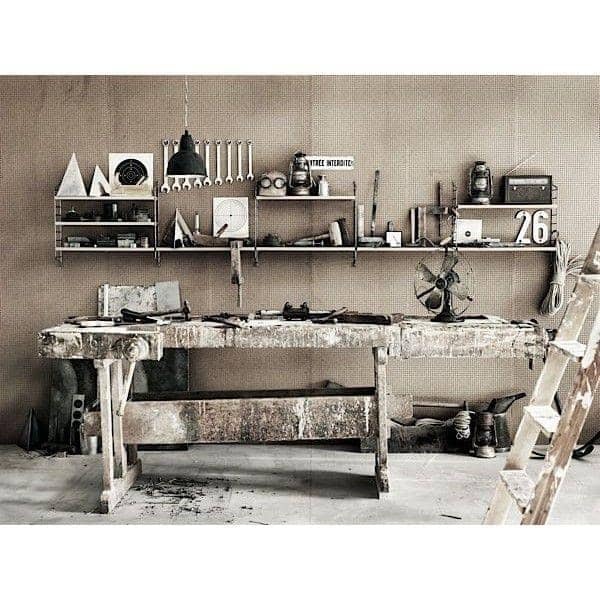 Title : Comment from Michèle anne A. 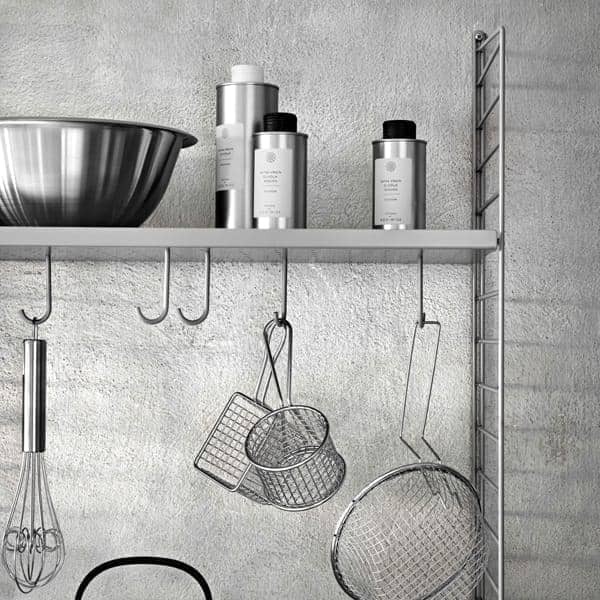 Comment : good product, aesthetically and functionally compliant its presentation on the site. 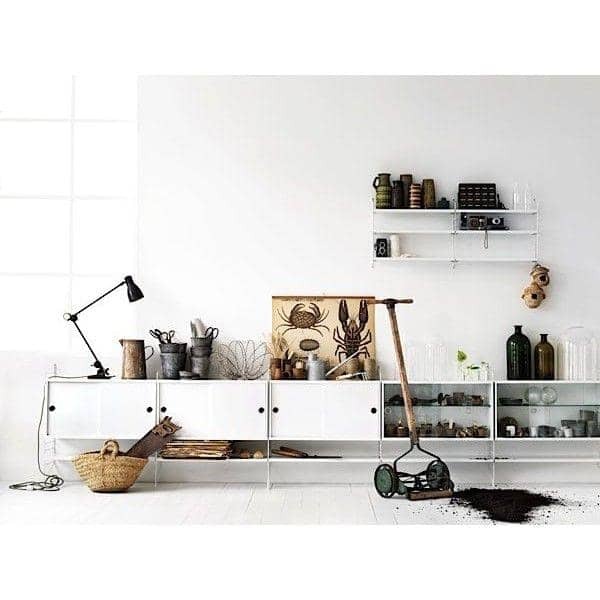 Title : Comment from Maud O. 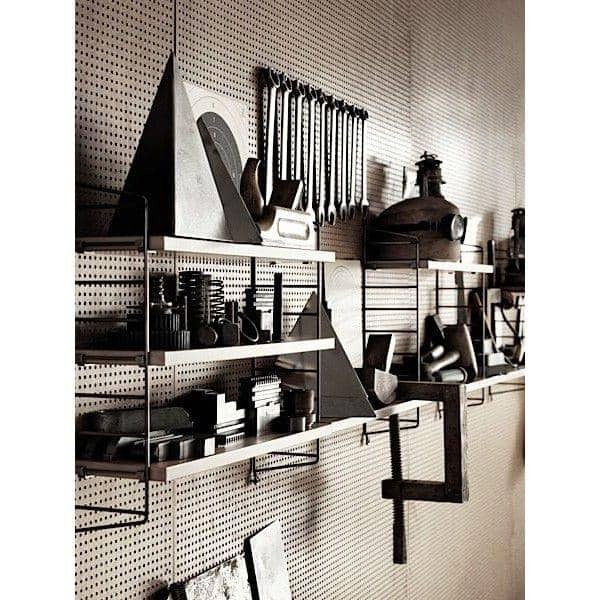 Title : Comment from Guillaume G.
When NILS STRINNING creates STRING® in 1949, he managed something, that very few architects or designers have made. 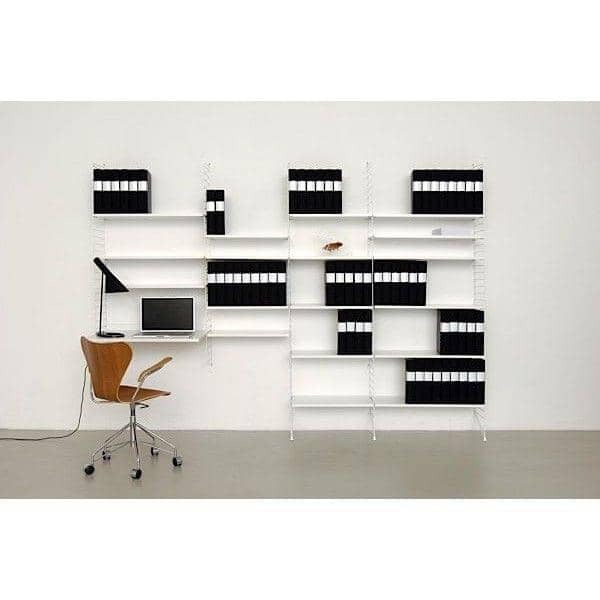 He created an icon. 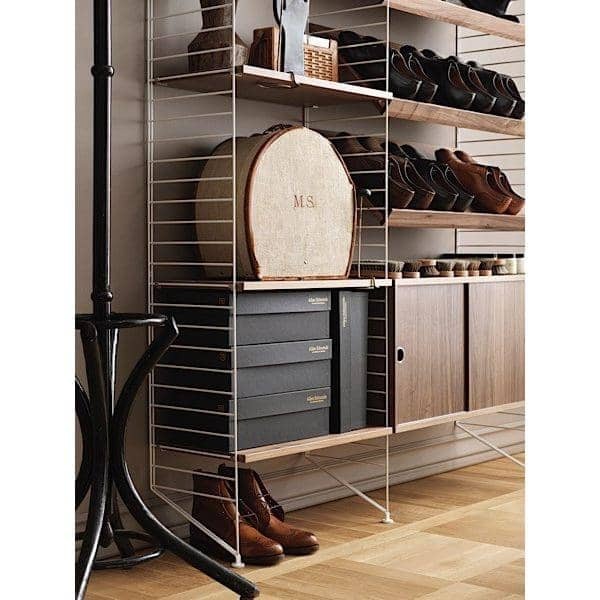 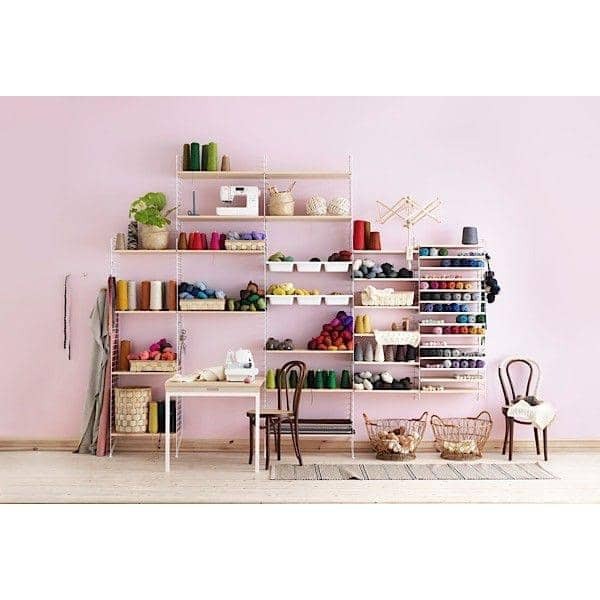 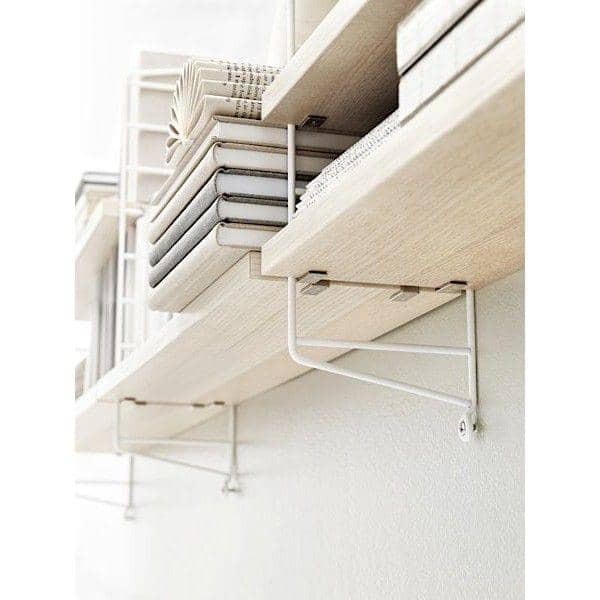 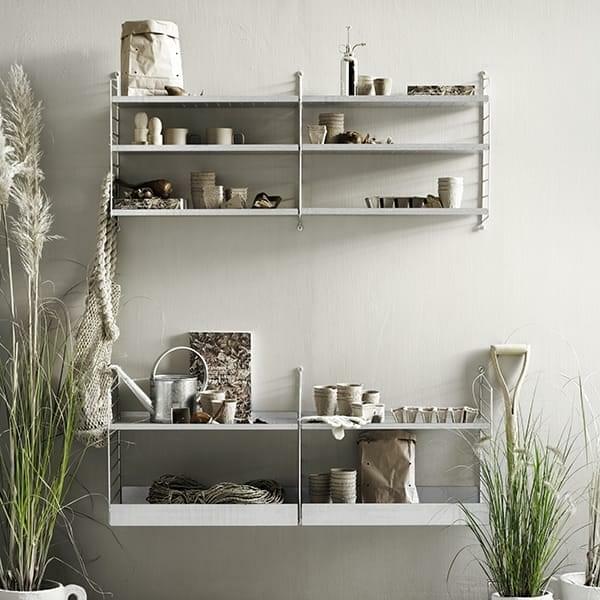 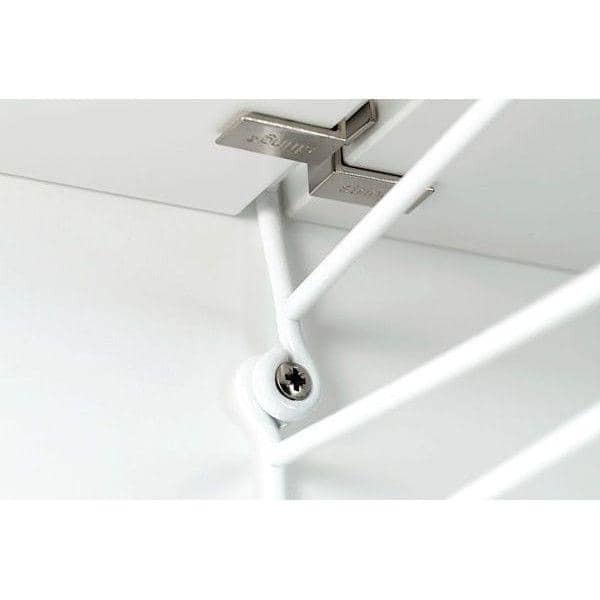 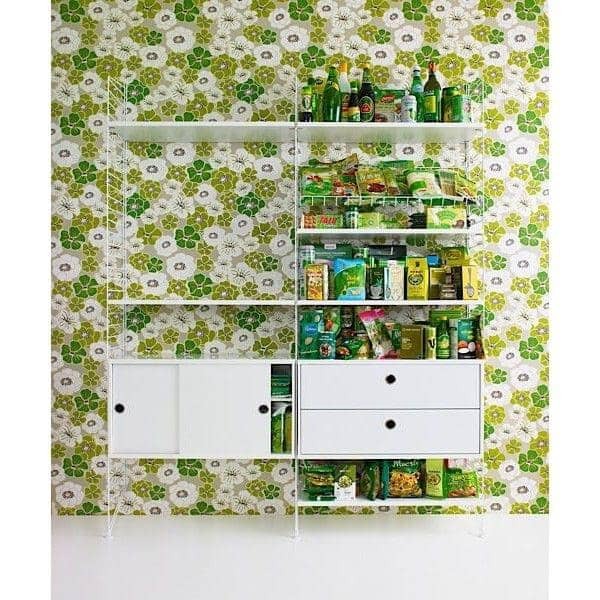 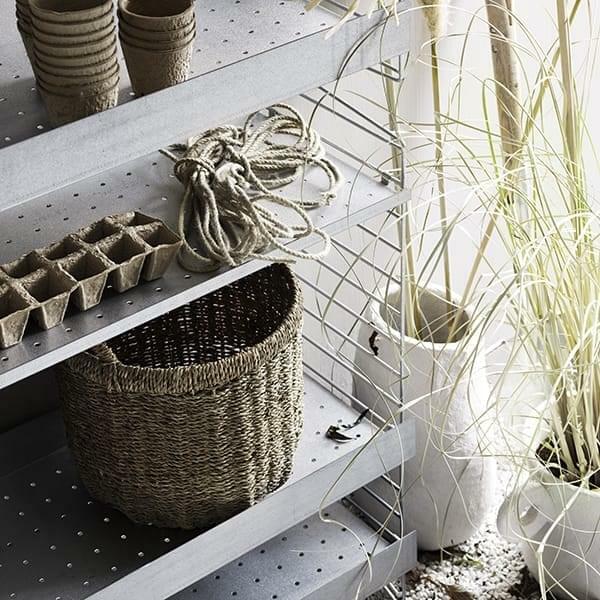 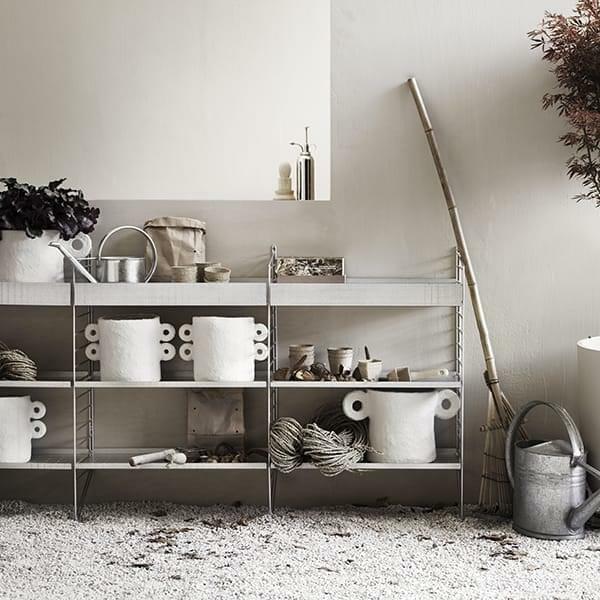 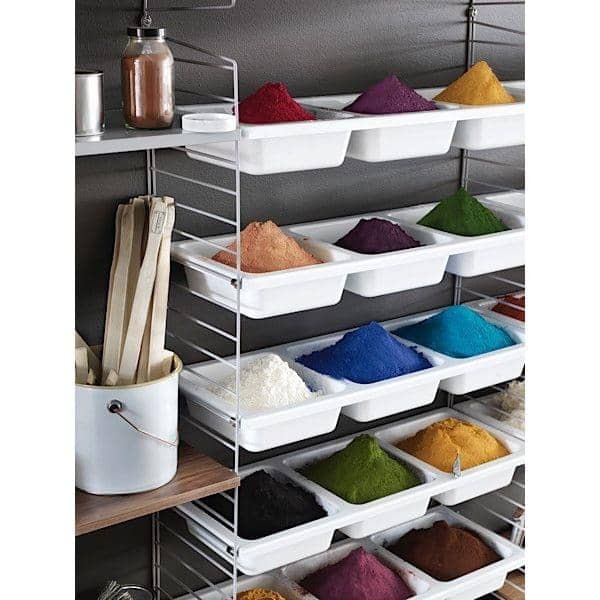 STRING® was an instant success, and became one of best shelving system. 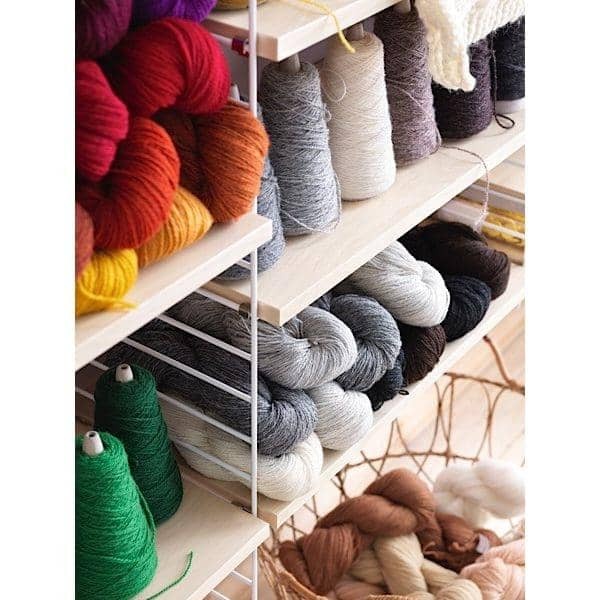 Over sixty years later, STRING® is more popular than ever. 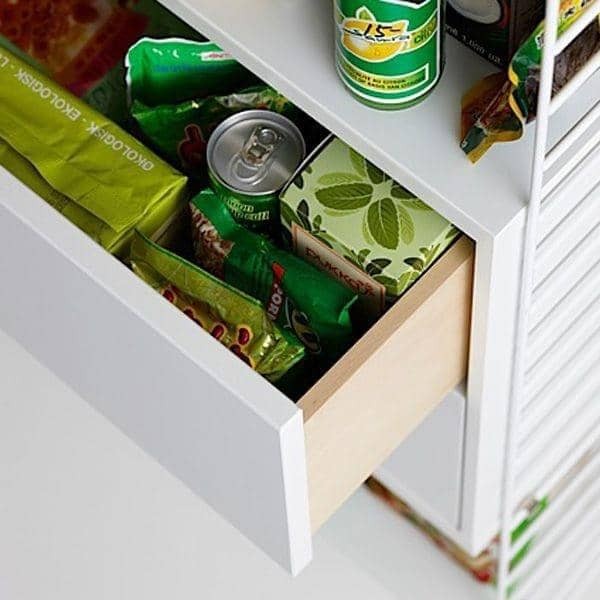 So what’s the secret? 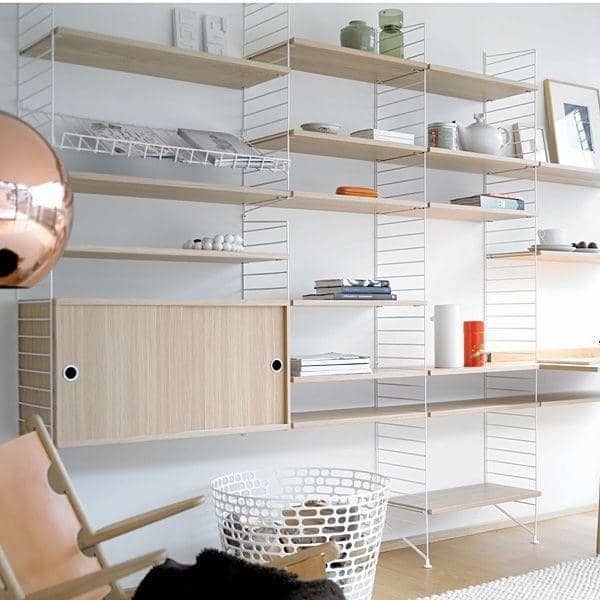 From the very first sketch, STRINNING designed a shelf that could take on many different looks. 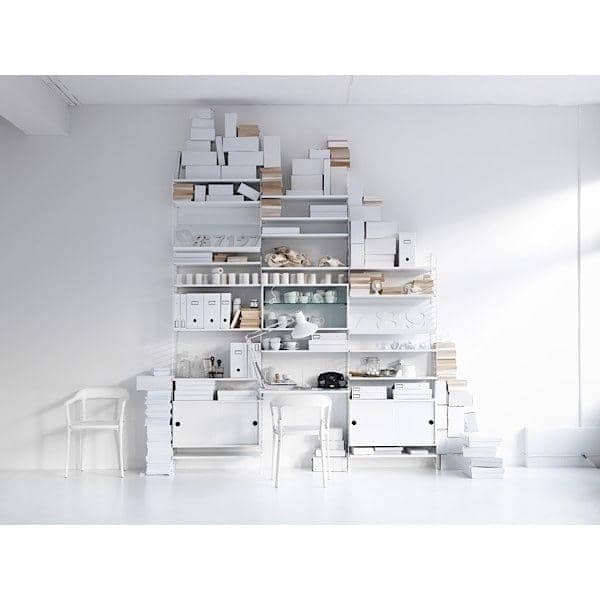 Painstaking attention to detail: he created a system where each piece could be combined with others, in almost endless permutations. 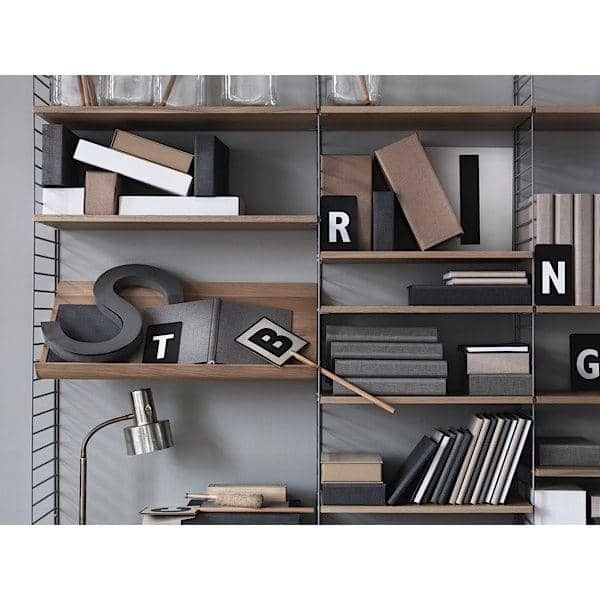 STRING® is not just a shelf, but a furniture that can be infinitely varied. 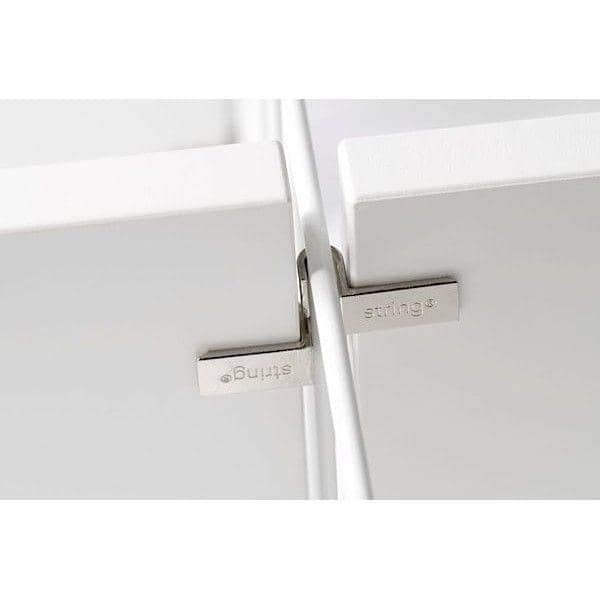 Anyone can customize its own STRING®. 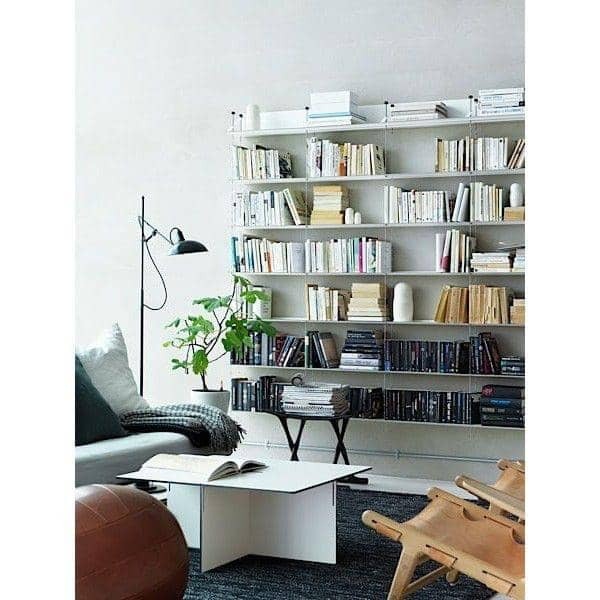 It can be big or small. 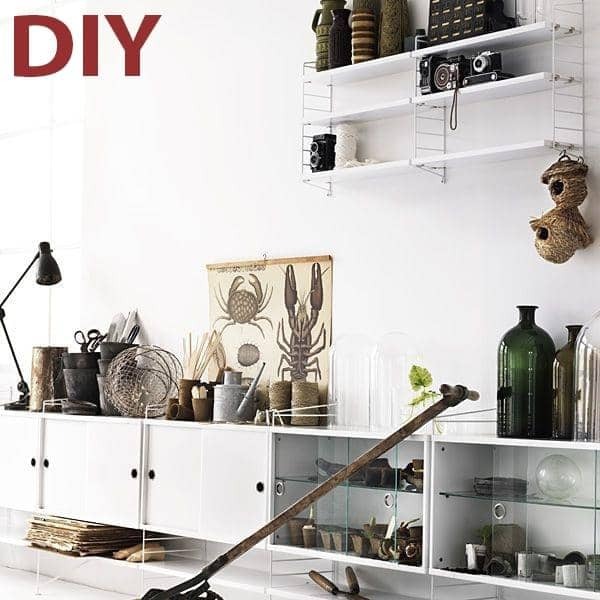 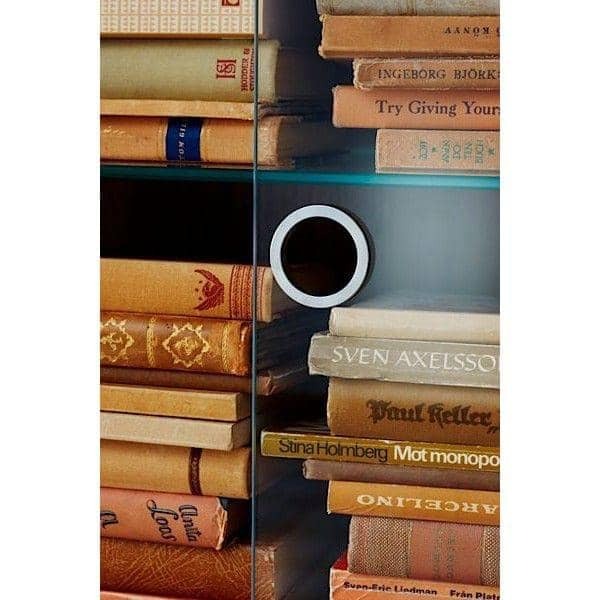 It works as well in the kitchen or in the bathroom, in the library or in the lounge. 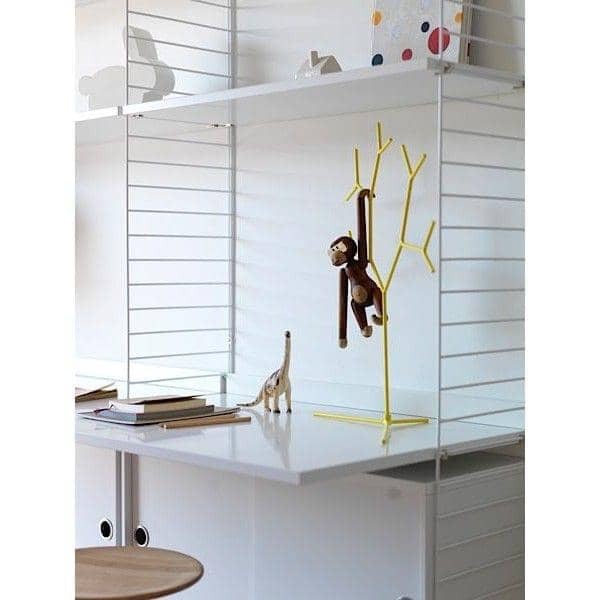 And because STRING® has the rare distinction of being an affordable piece of designer furniture, it’s easy to be inventive and playful. 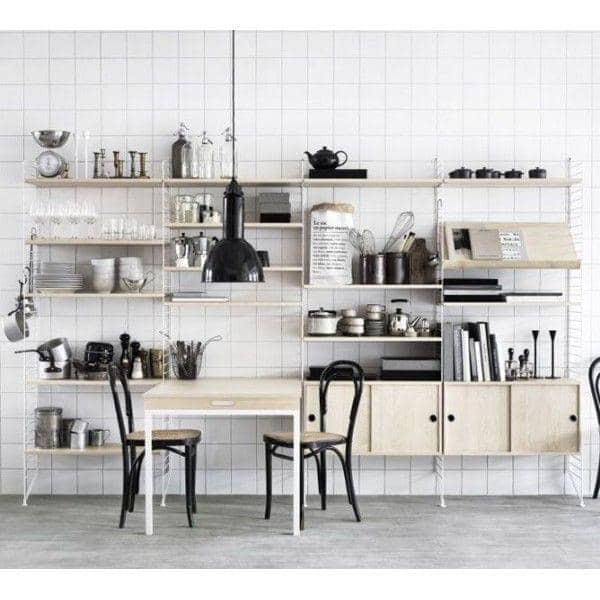 All components are manufactured in SWEDEN. 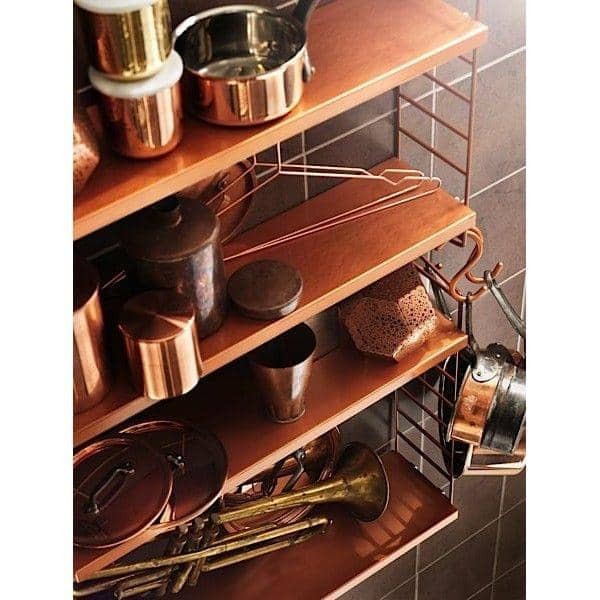 The basics haven’t changed since 1949, so it’s never too late to add new elements and give your STRING® a different look. 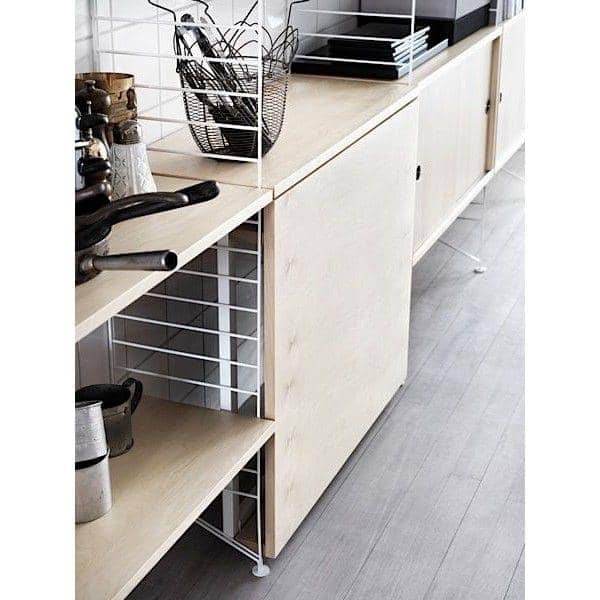 Floor panel, placed on the ground: Maximum weight of 150 kg (per panel). 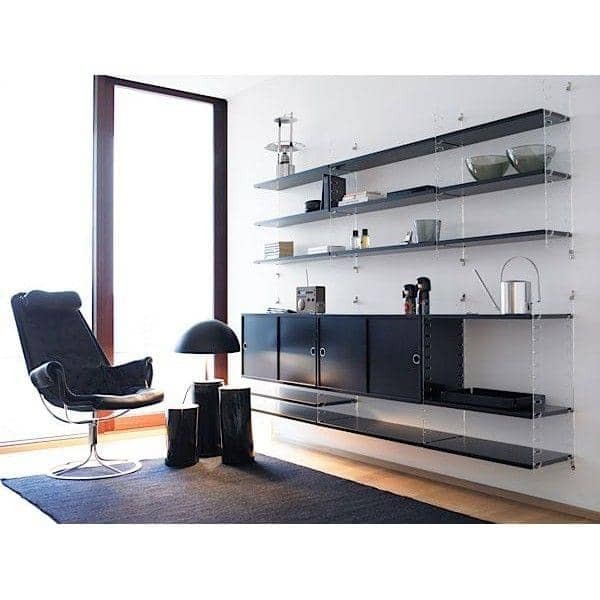 Wall Panels: Max weight of 75 kg (per wall panel). 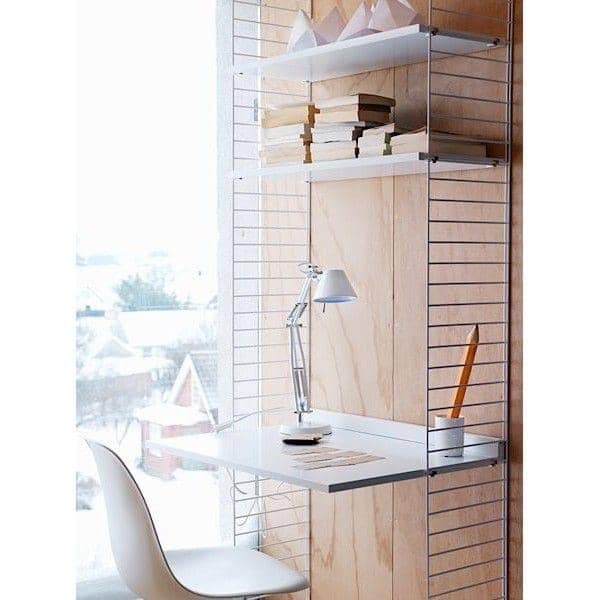 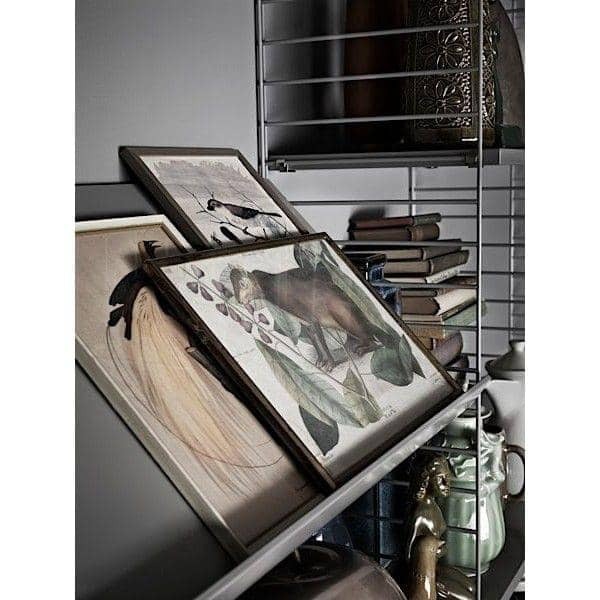 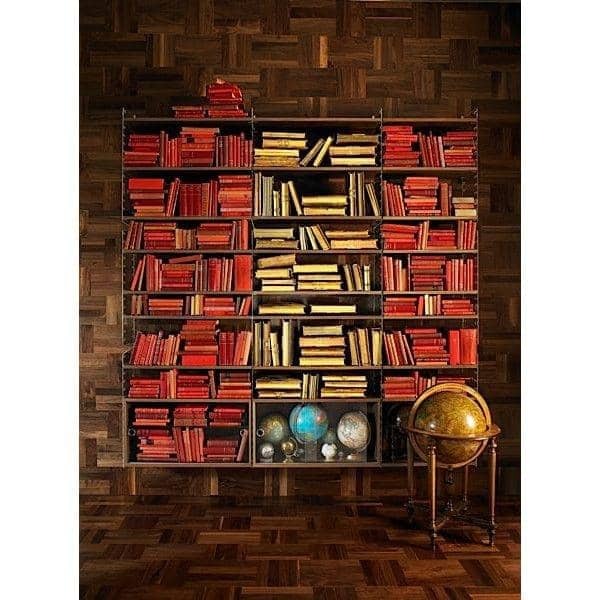 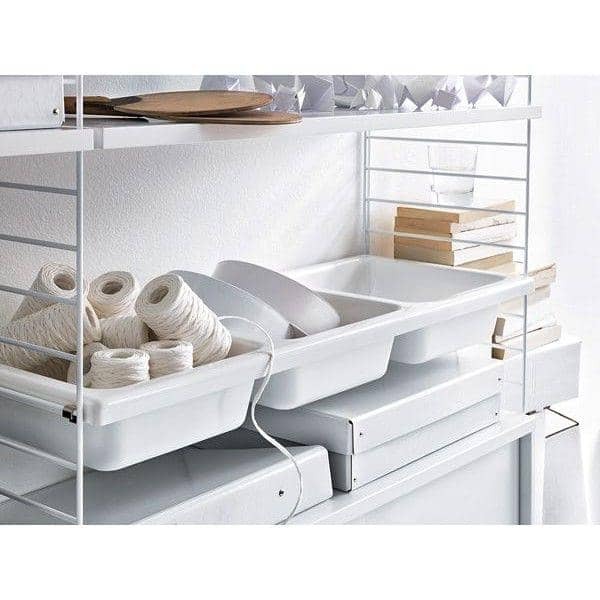 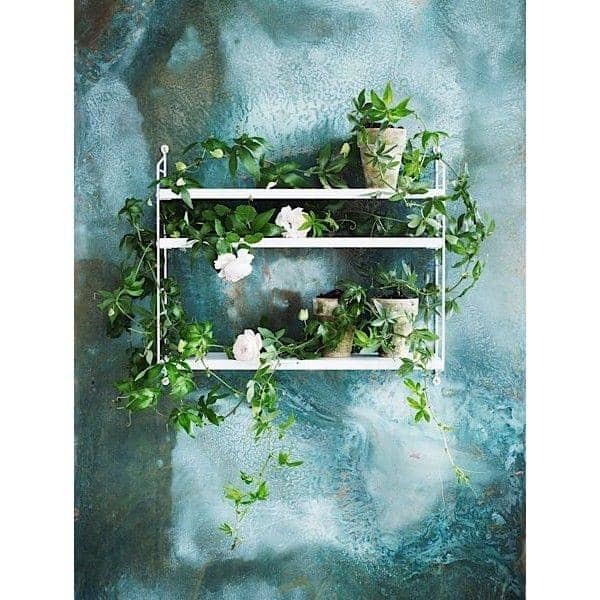 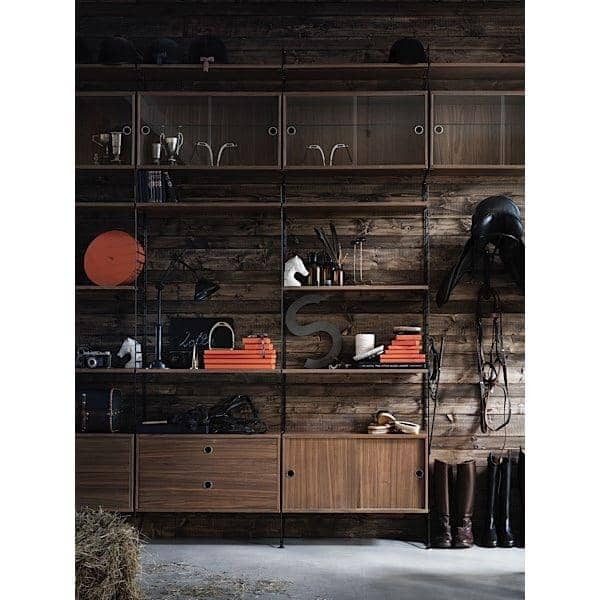 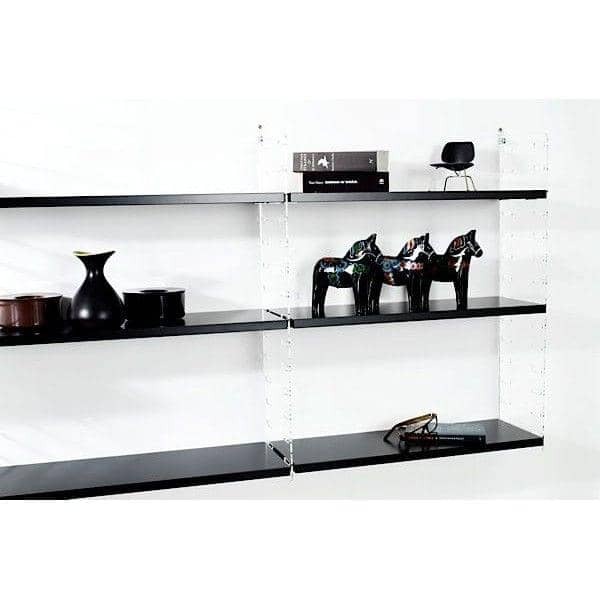 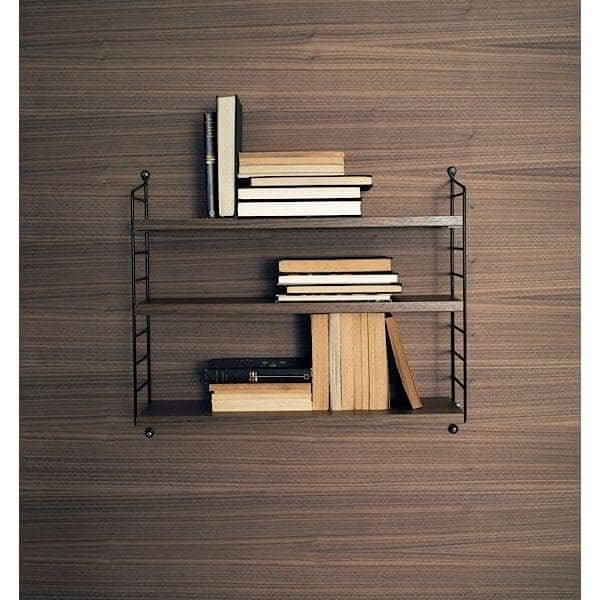 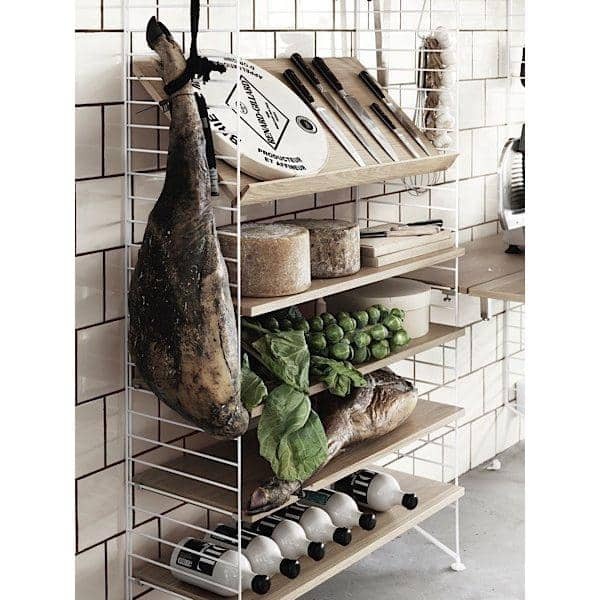 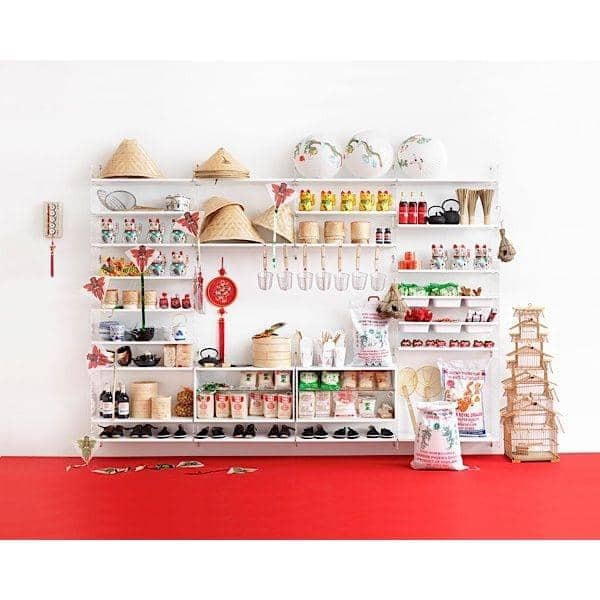 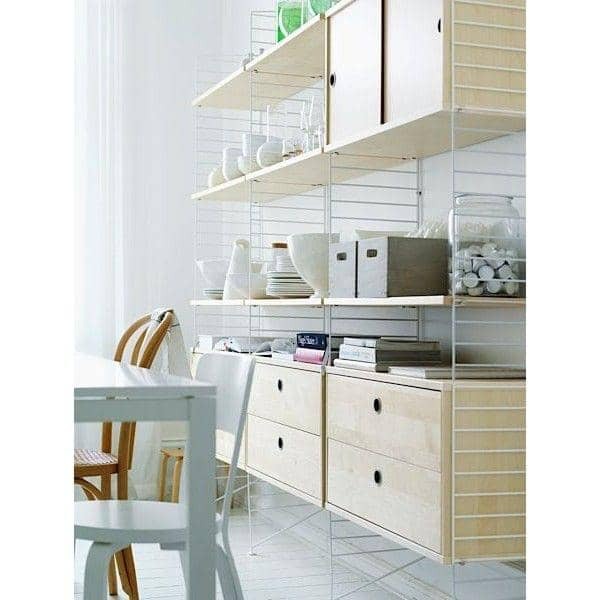 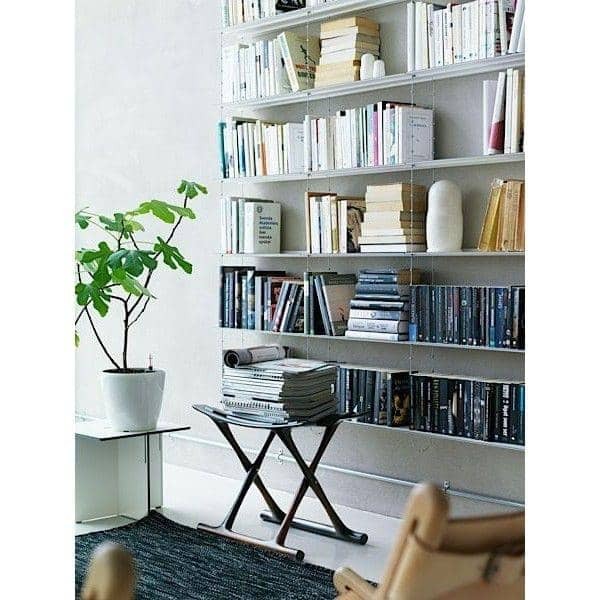 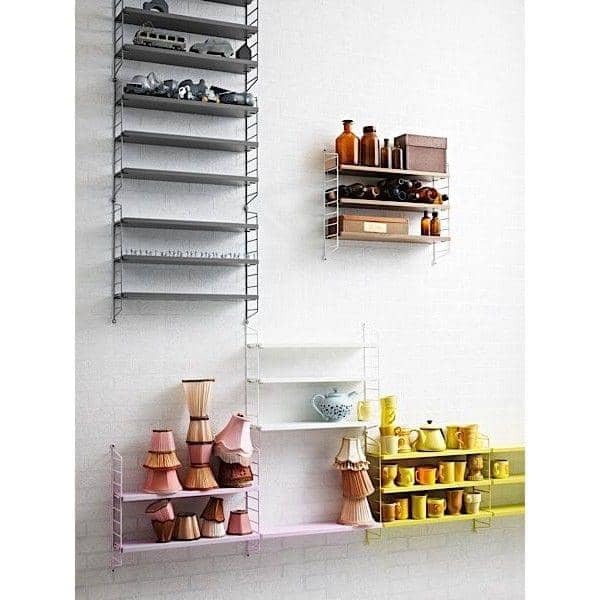 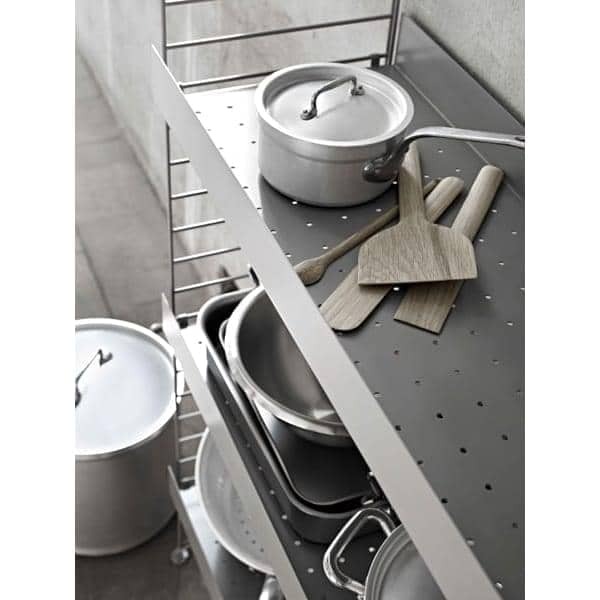 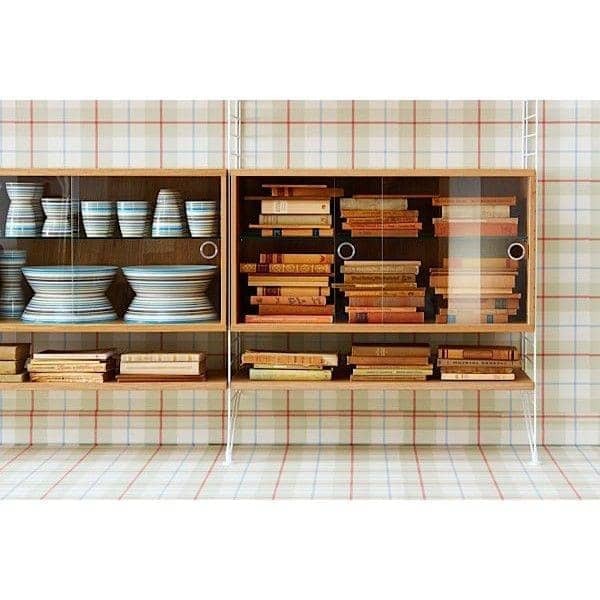 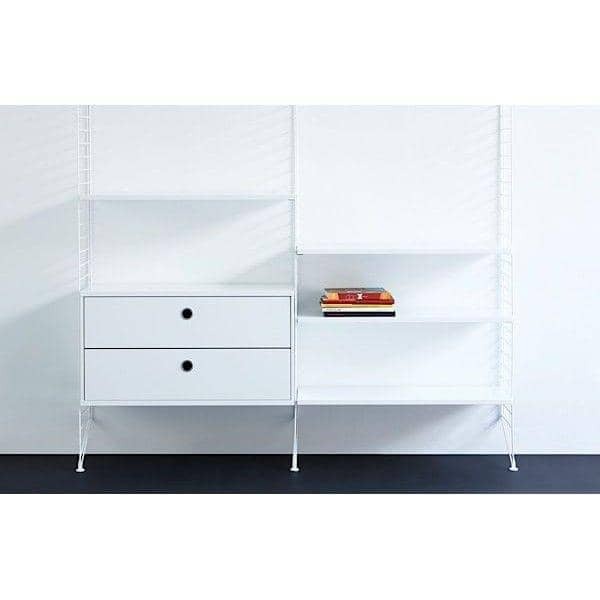 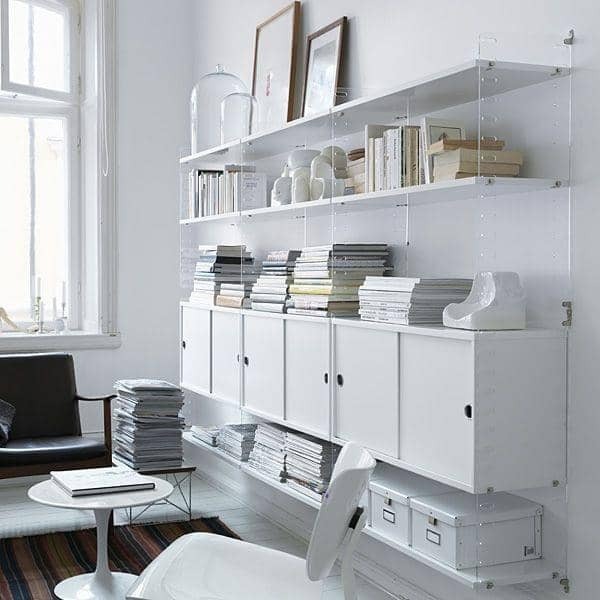 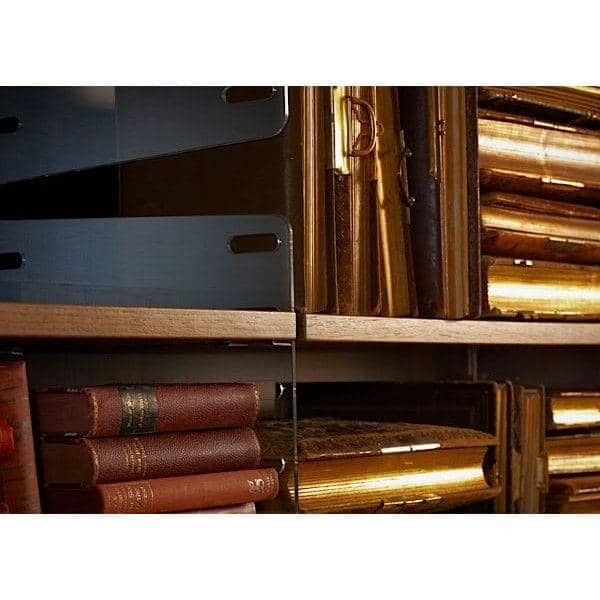 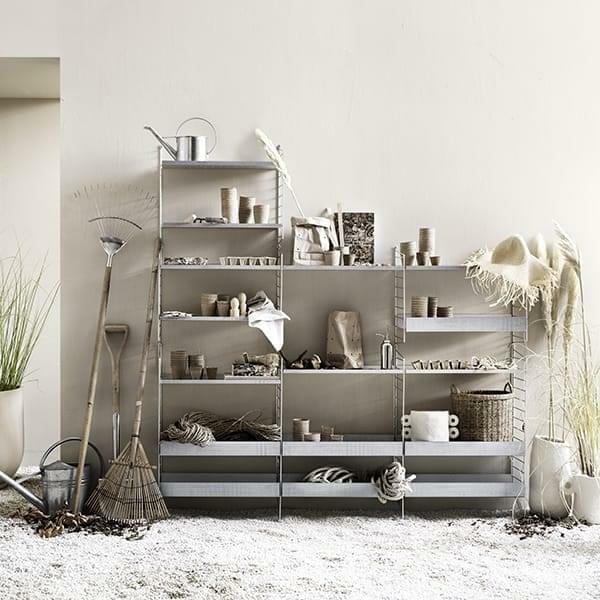 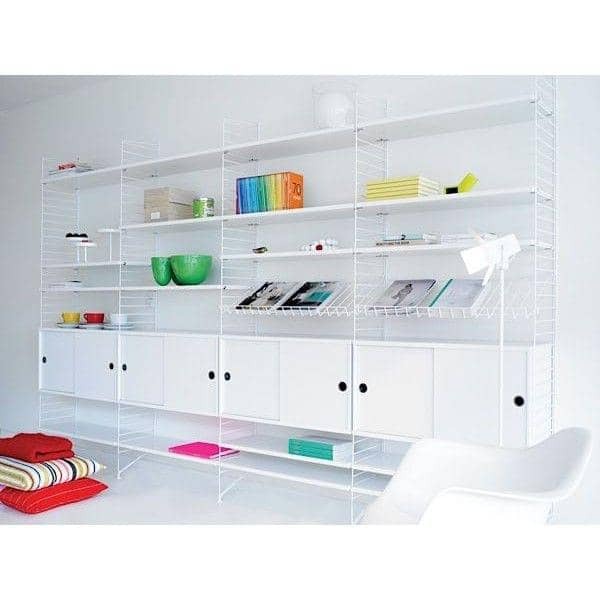 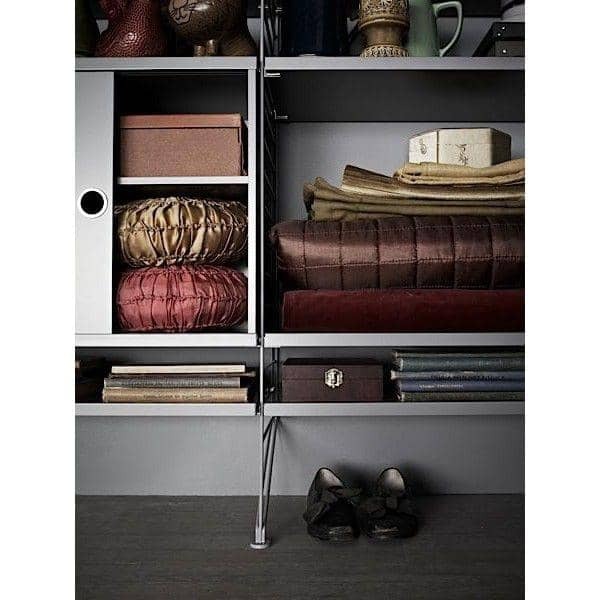 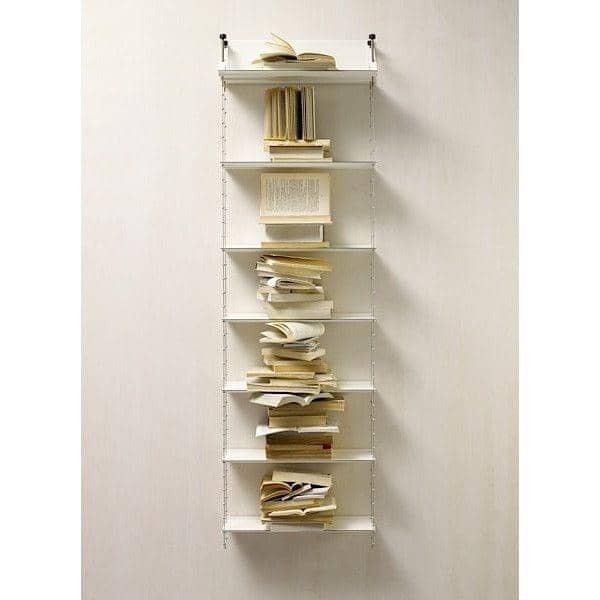 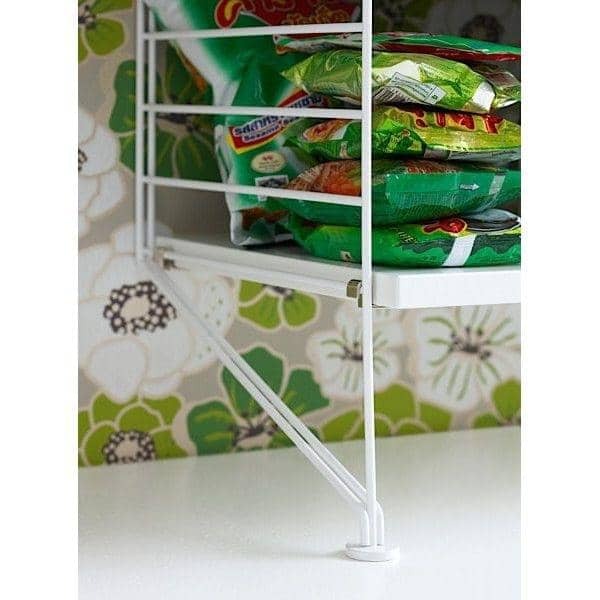 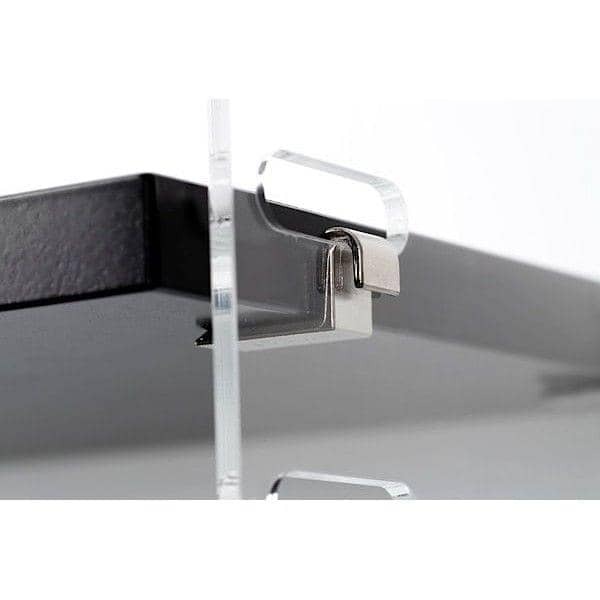 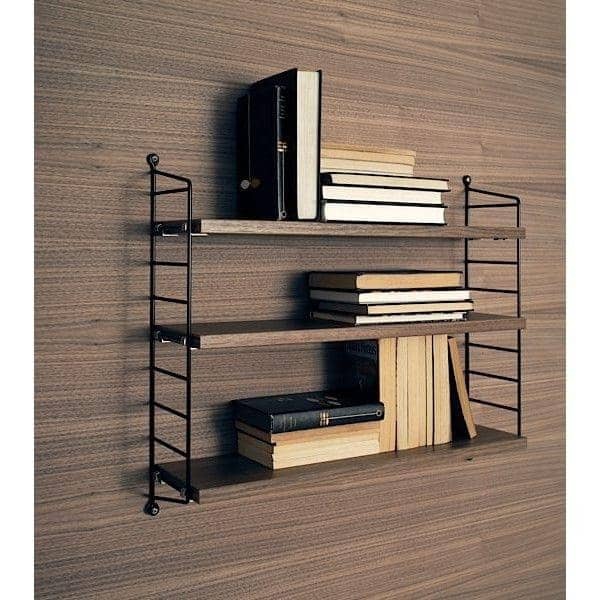 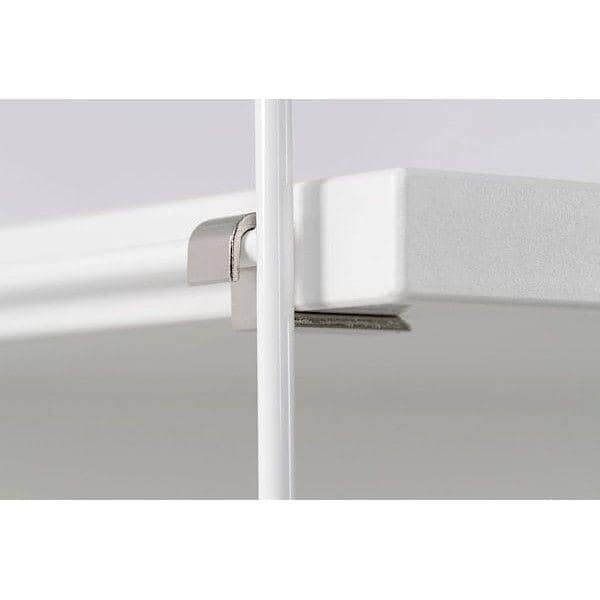 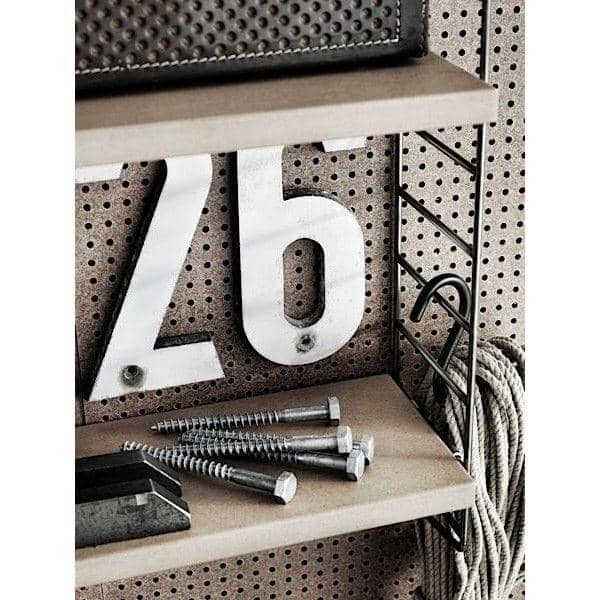 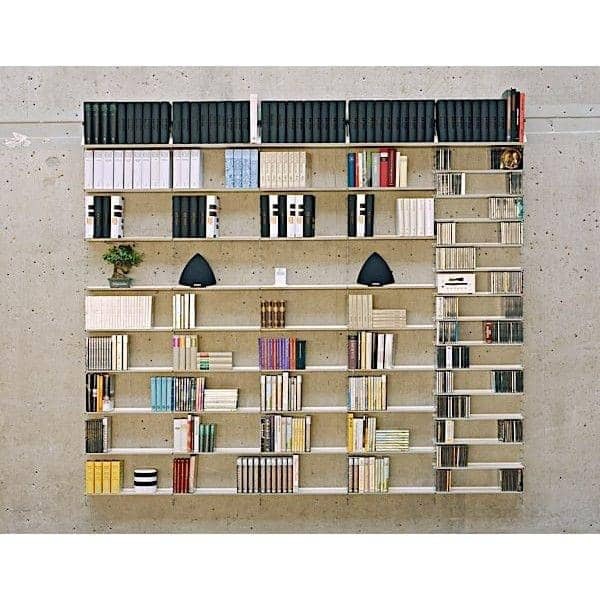 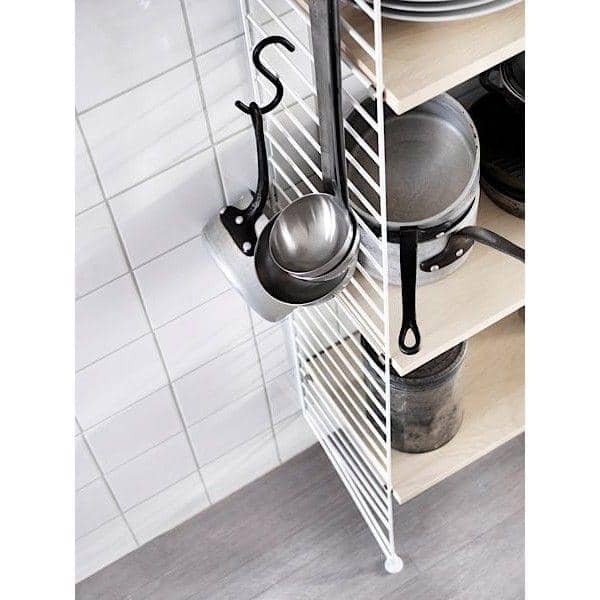 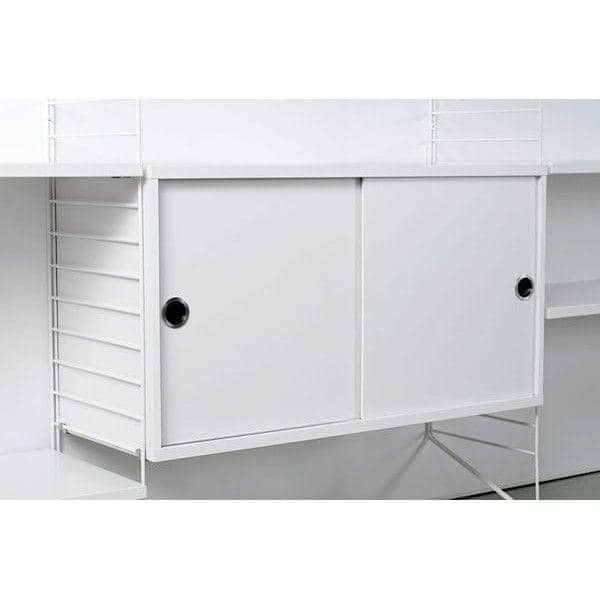 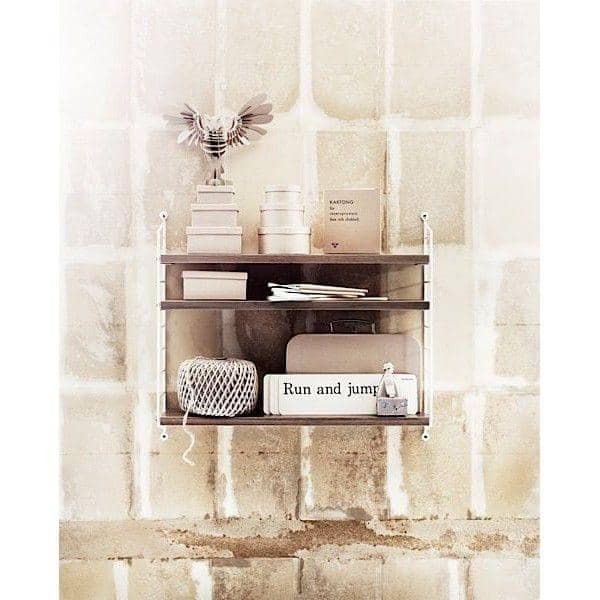 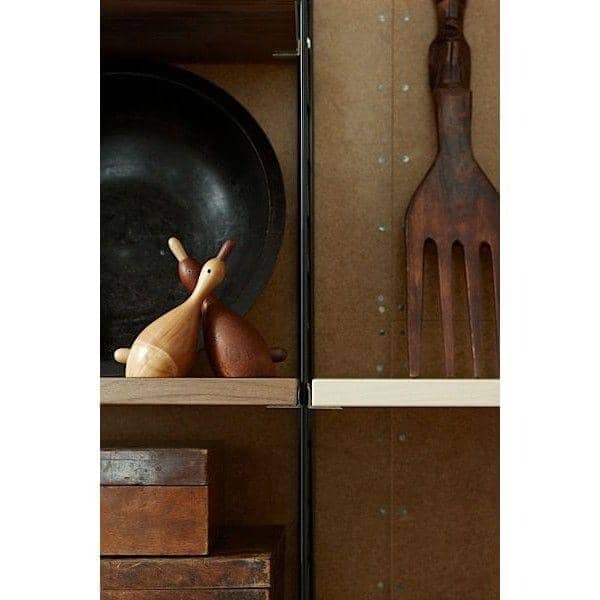 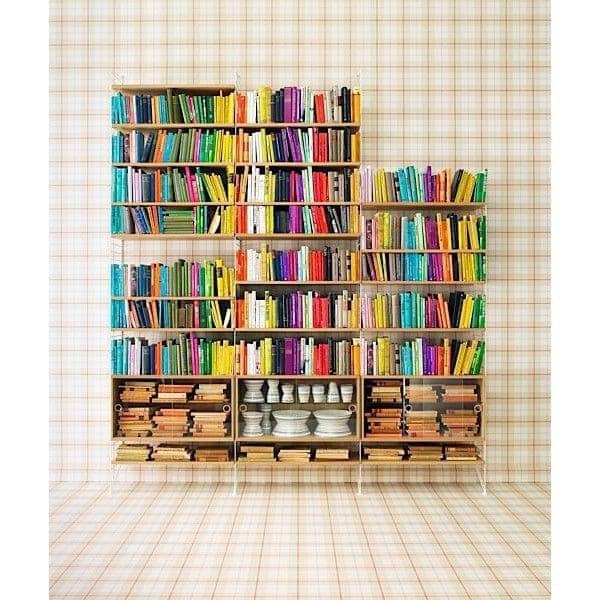 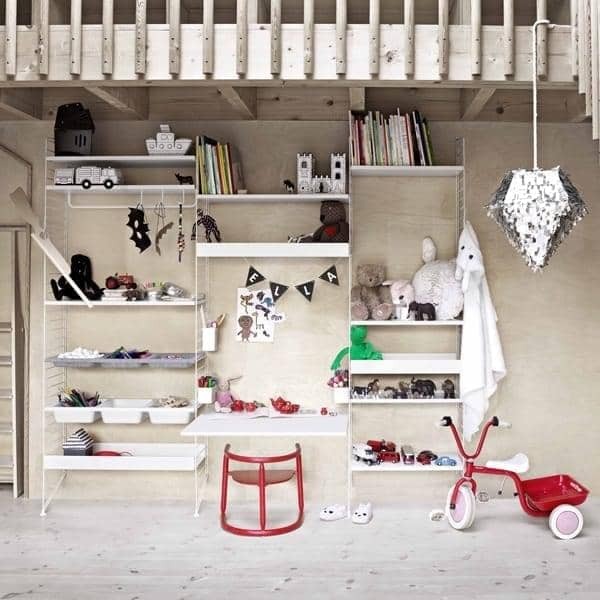 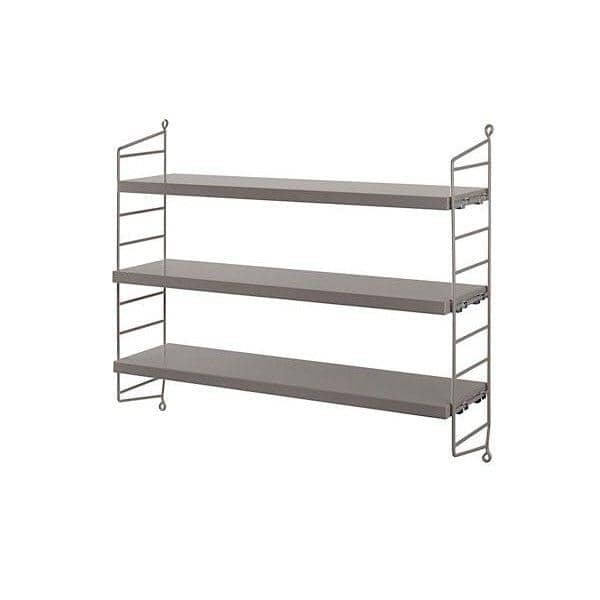 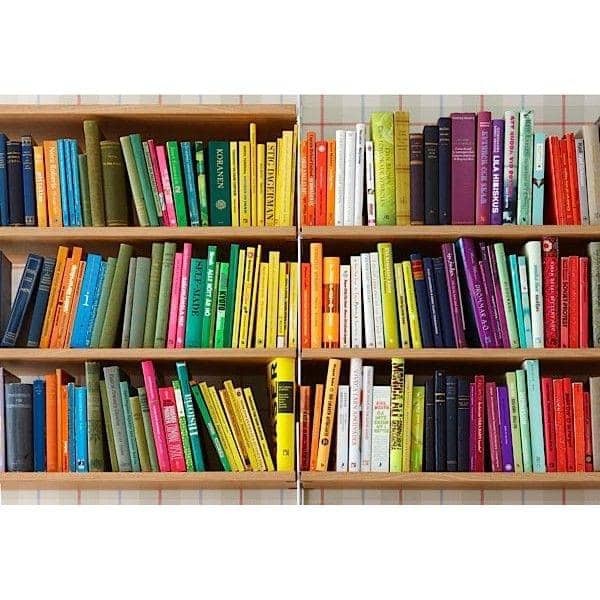 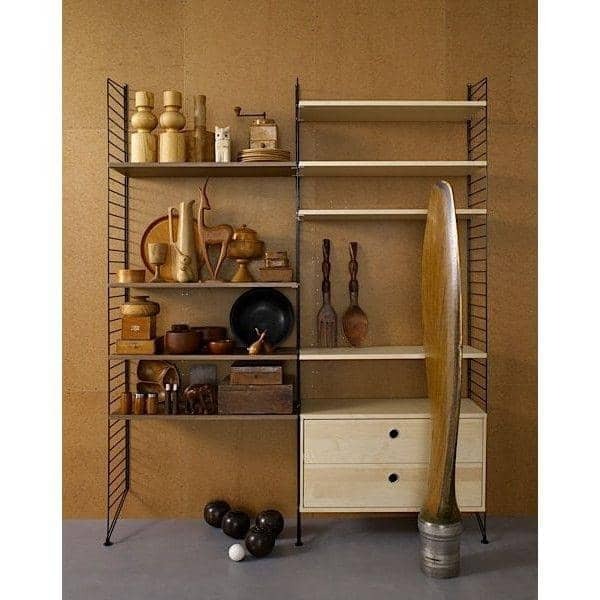 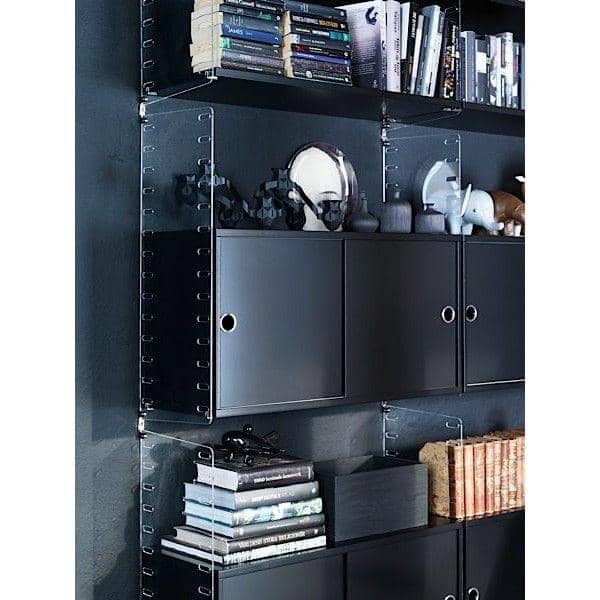 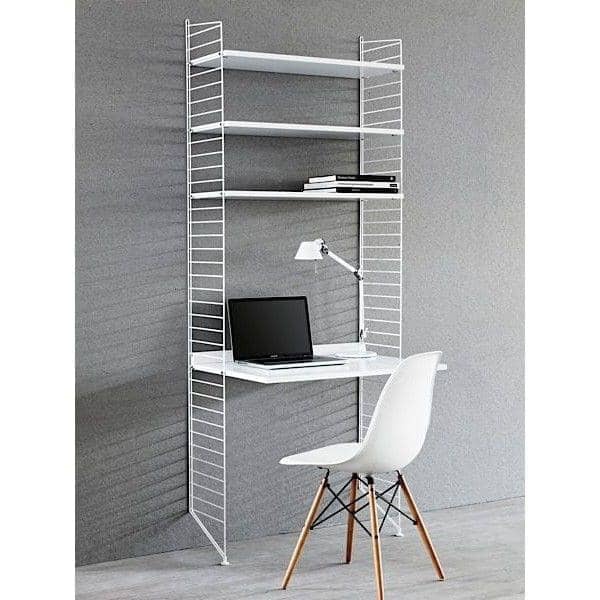 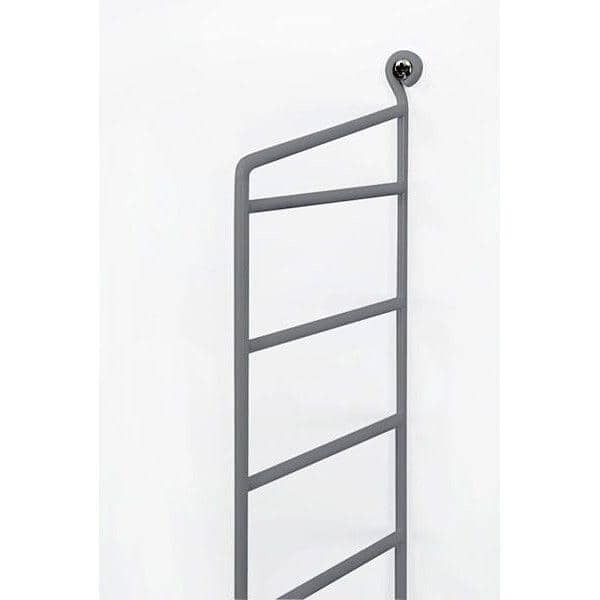 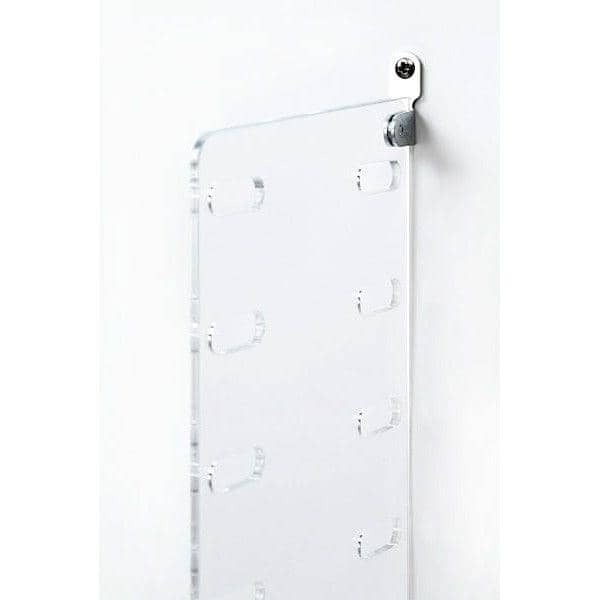 Shelves 78 cm: Maximum weight of 15 kg (per shelf). 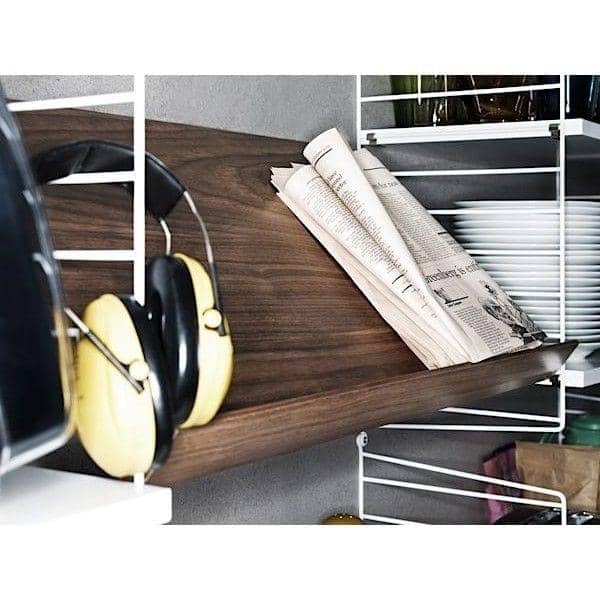 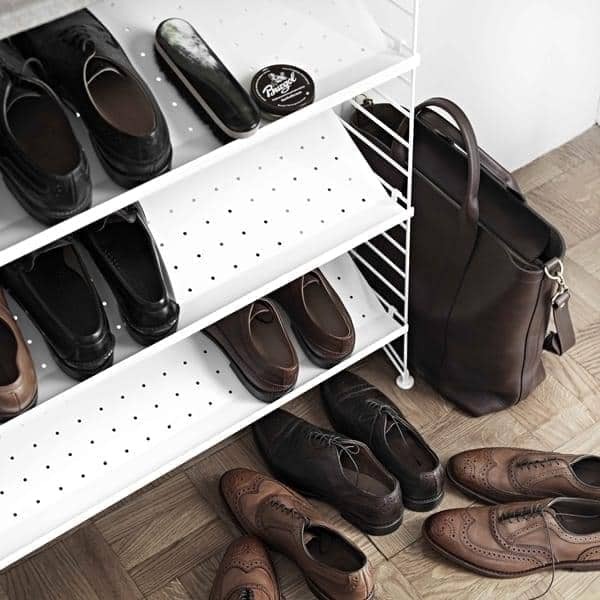 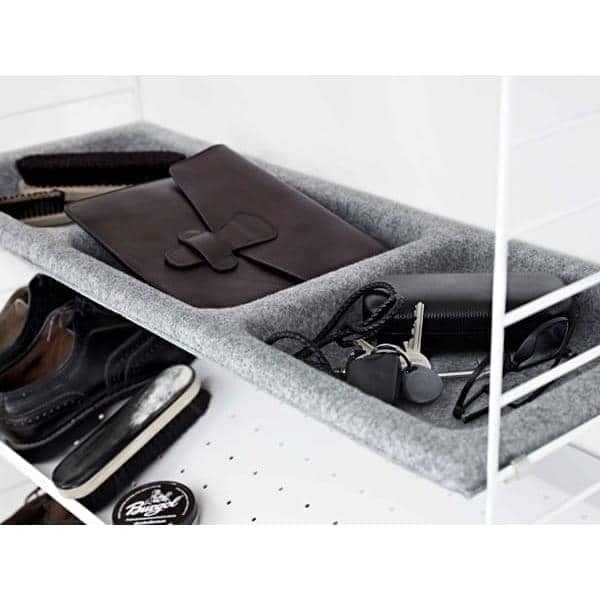 Shelves 58 cm: Maximum weight of 25 kg (per shelf). 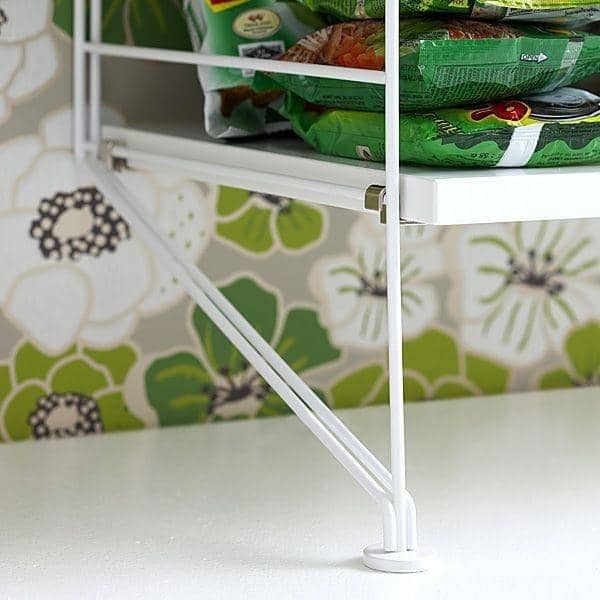 Thickness of the uprights (steel wire): 5 mm.